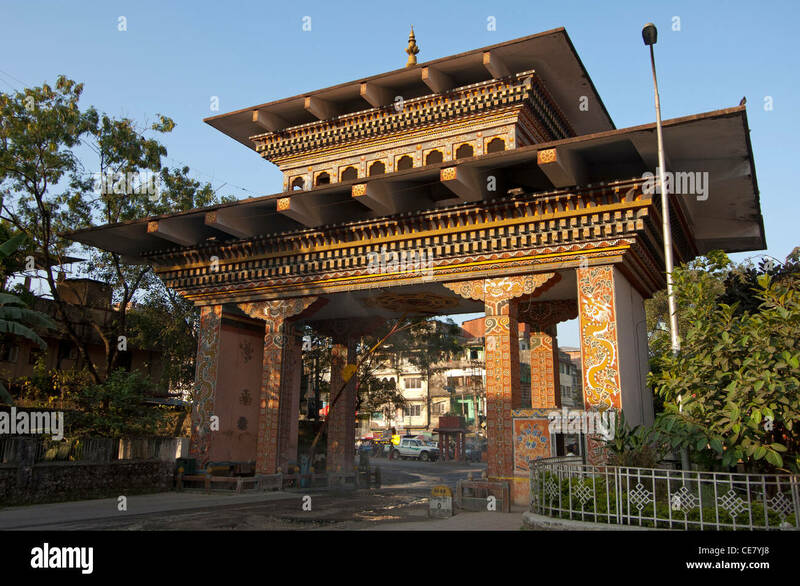 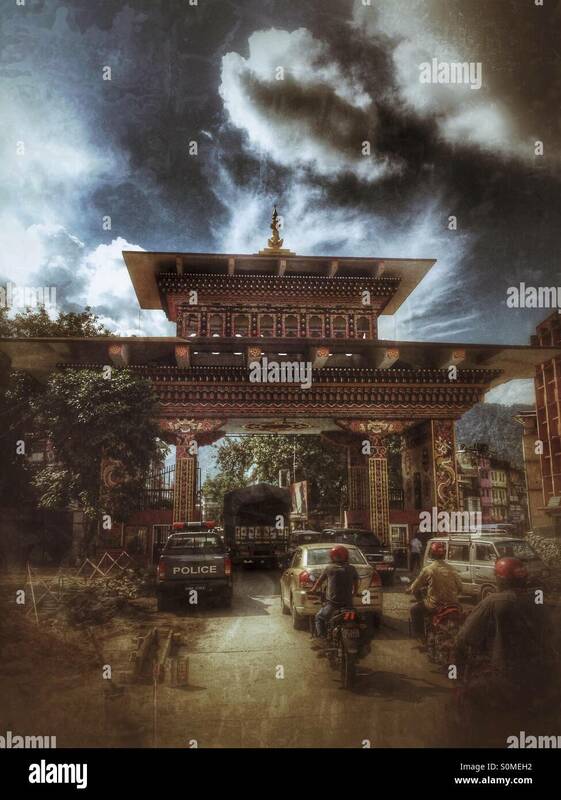 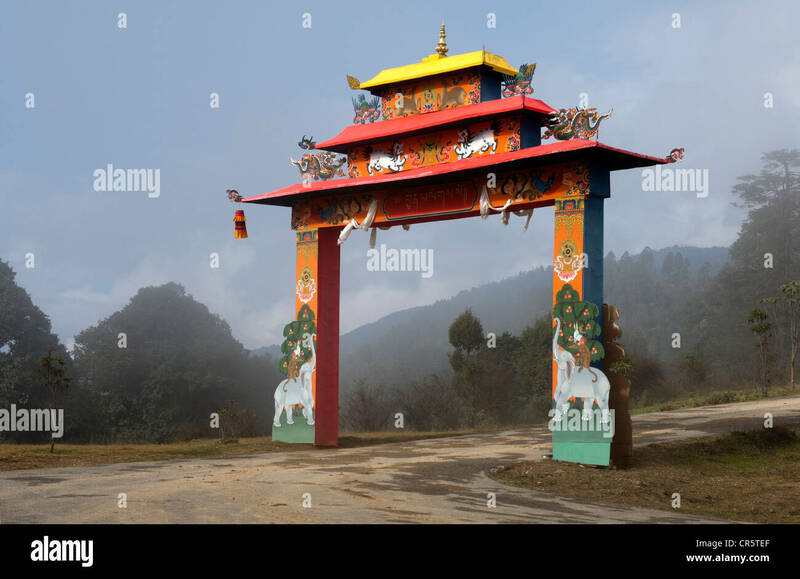 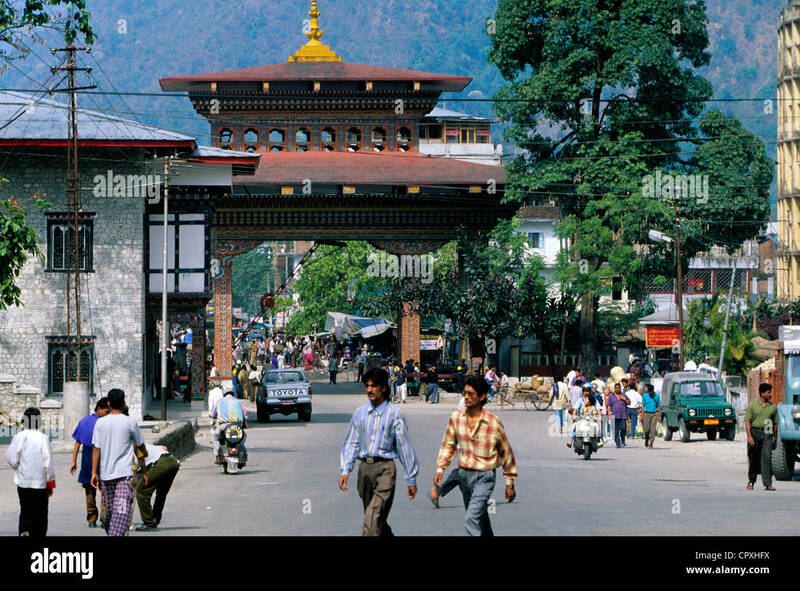 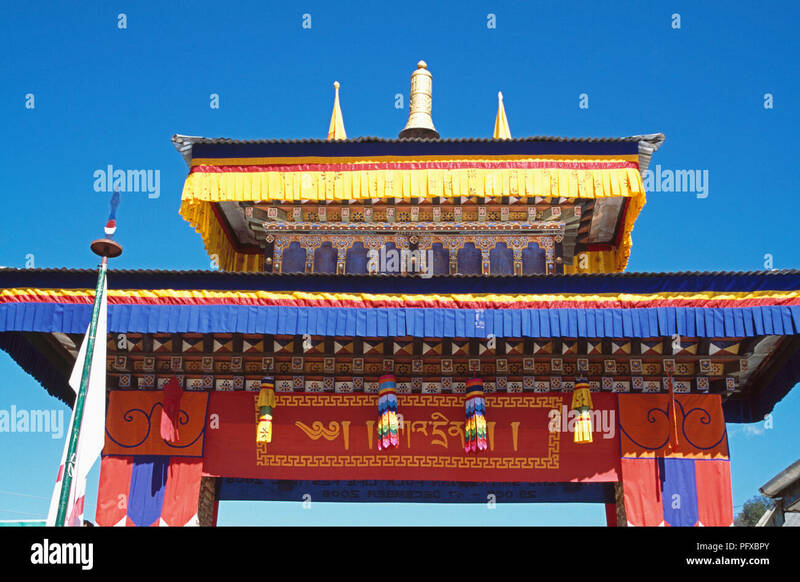 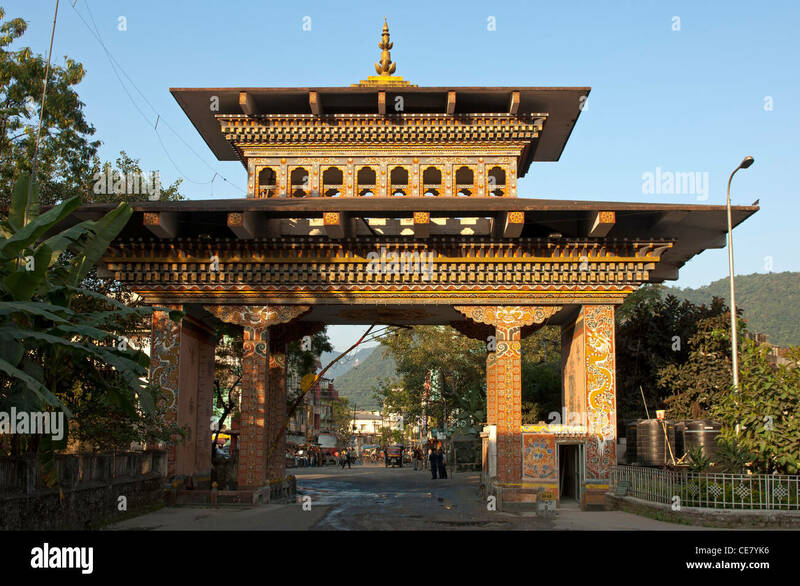 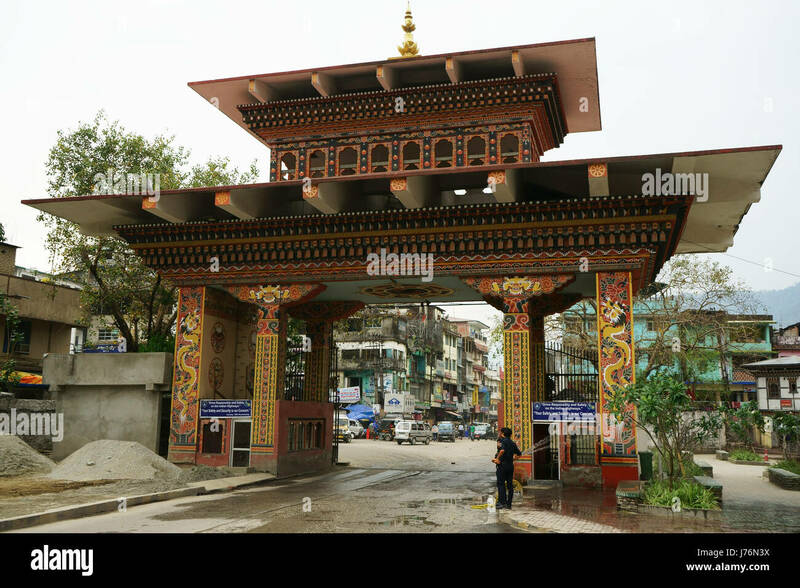 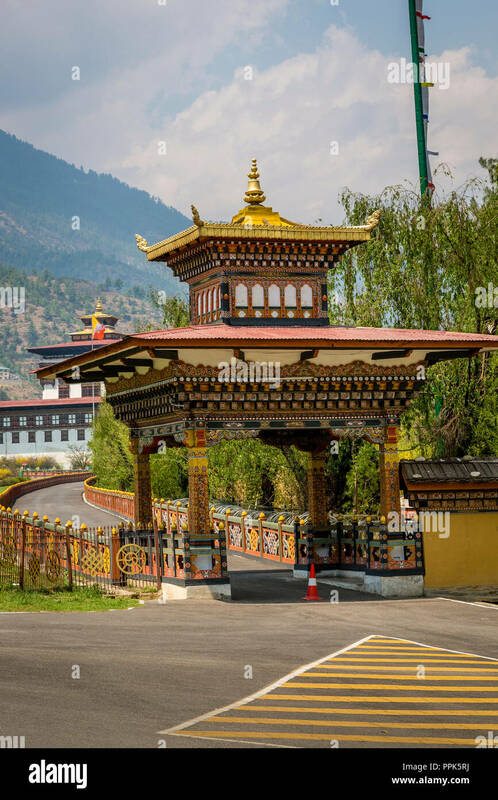 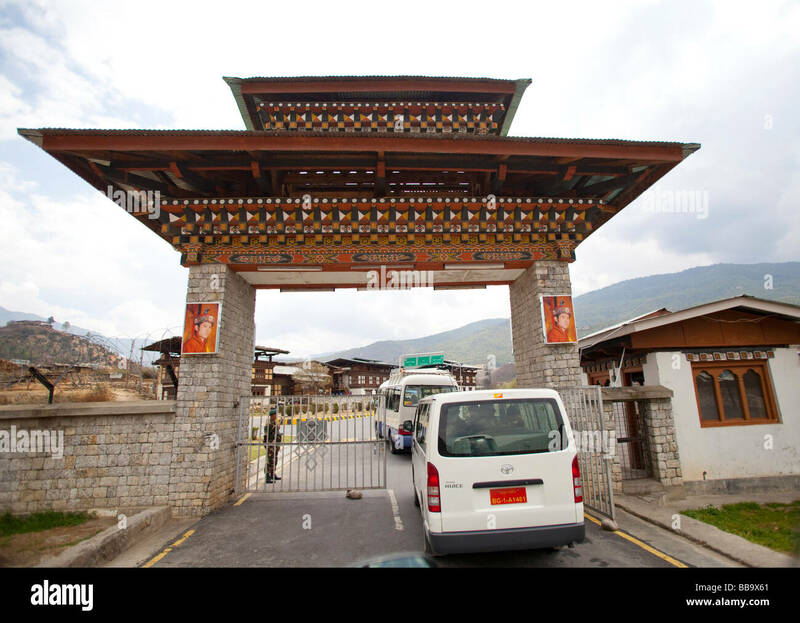 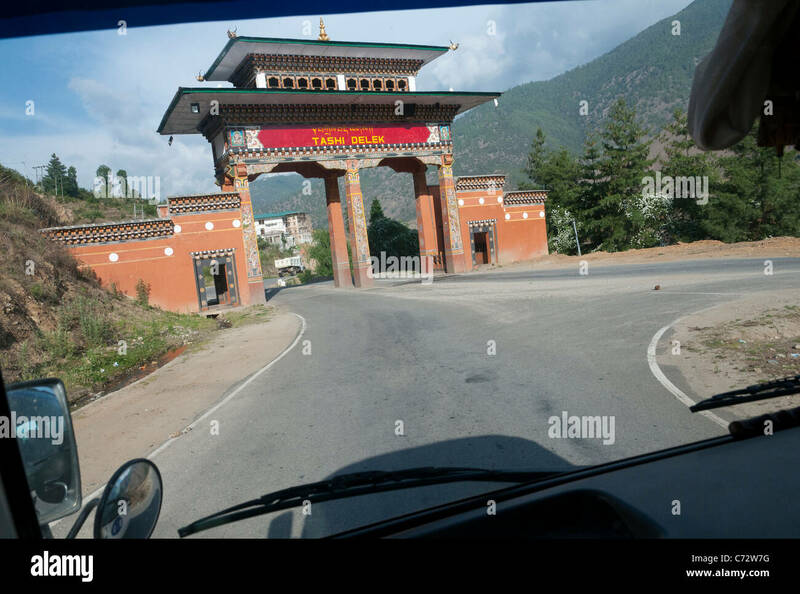 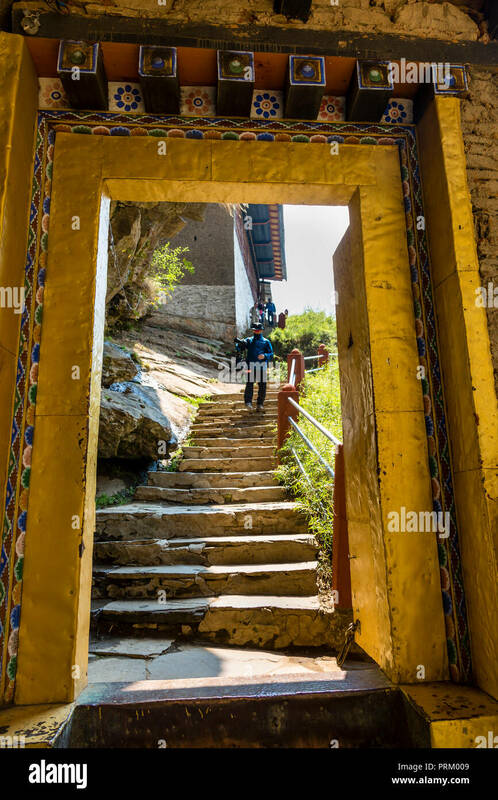 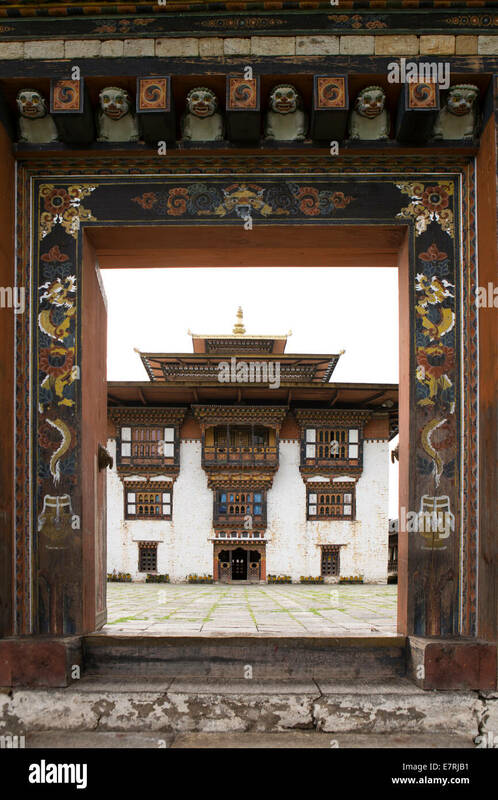 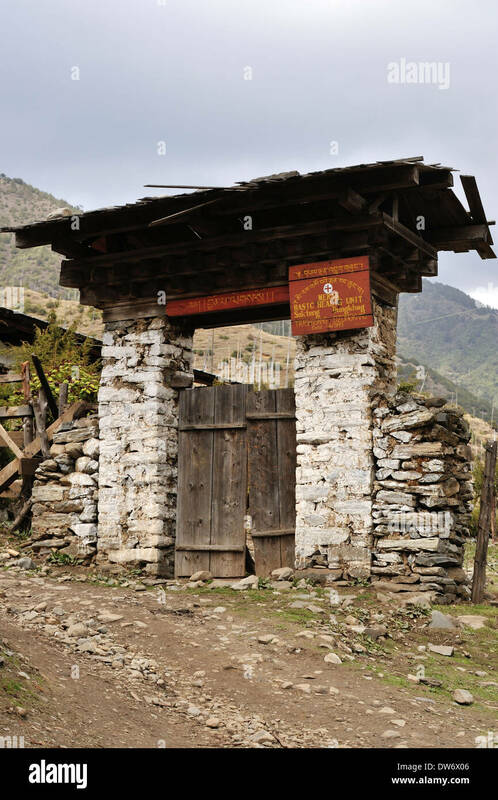 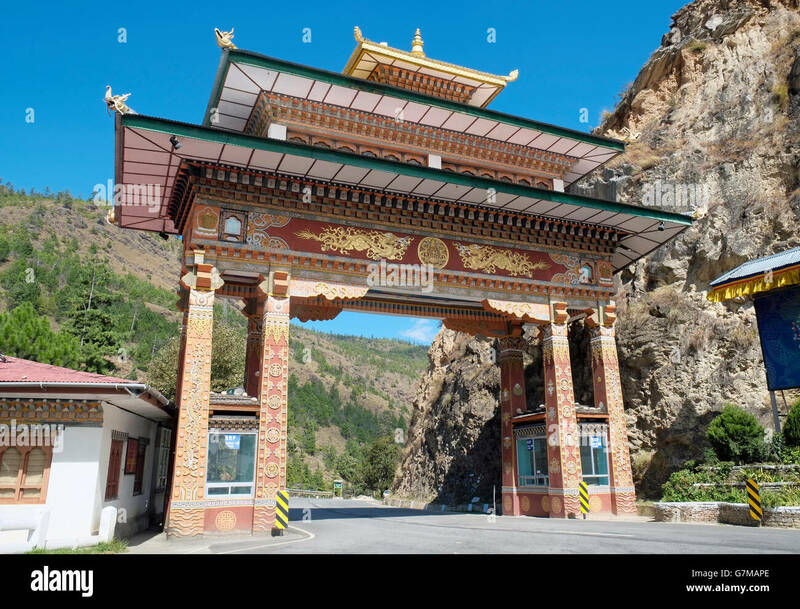 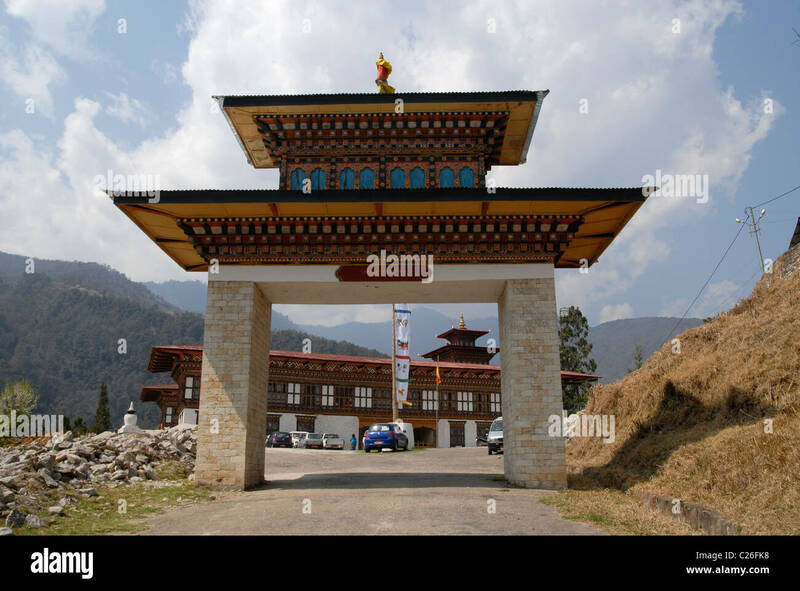 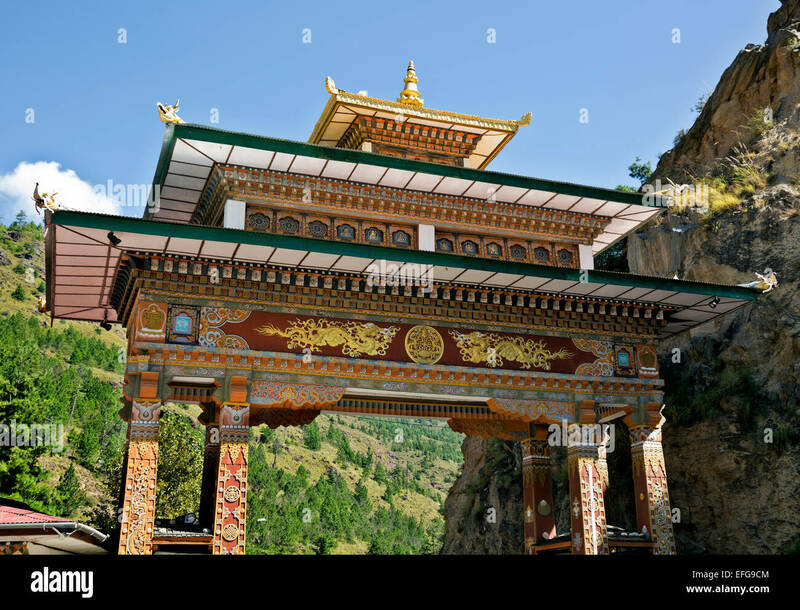 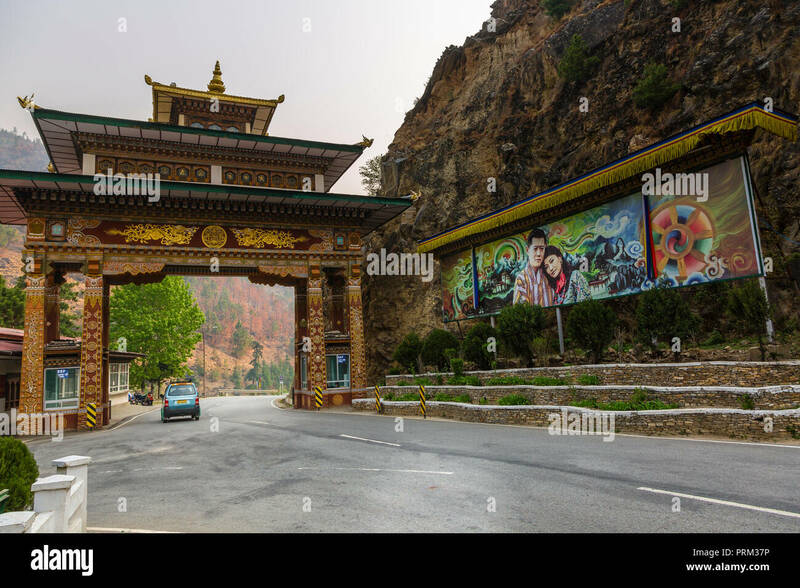 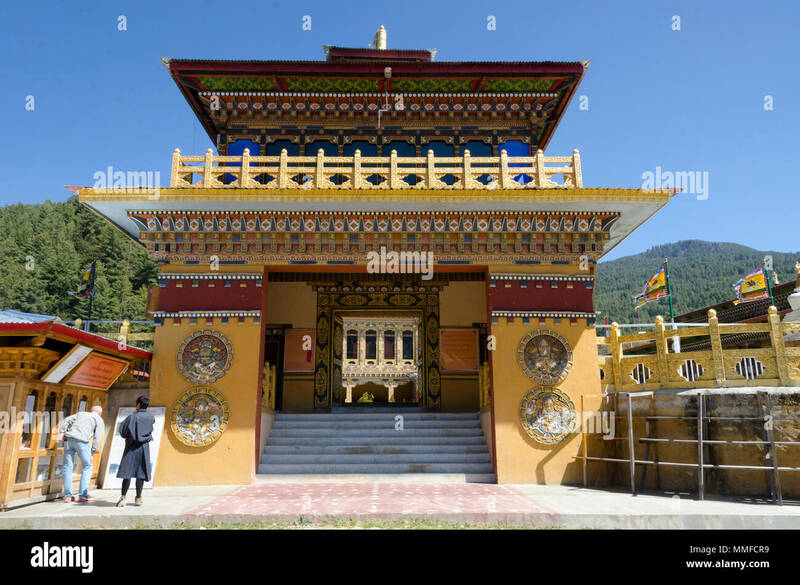 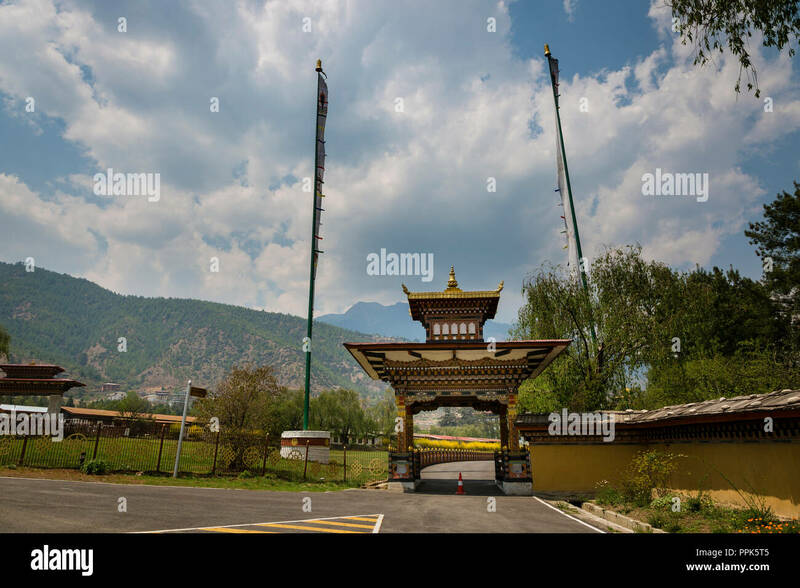 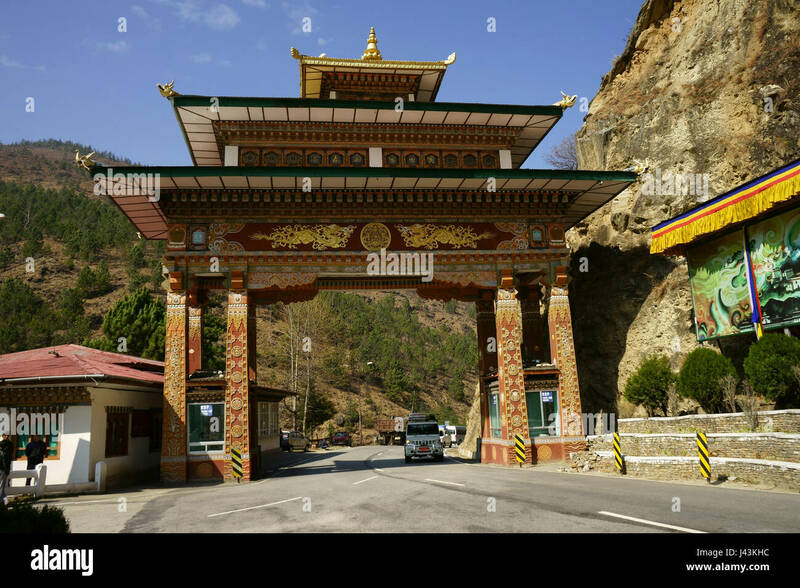 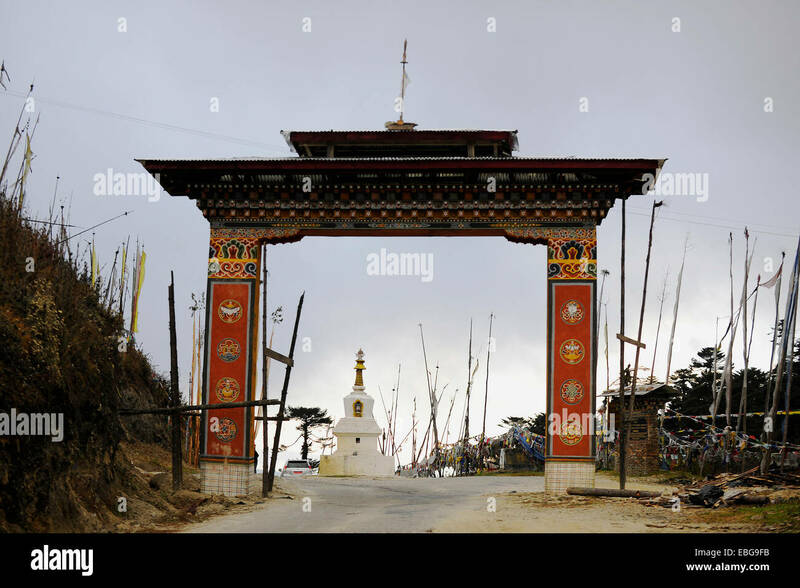 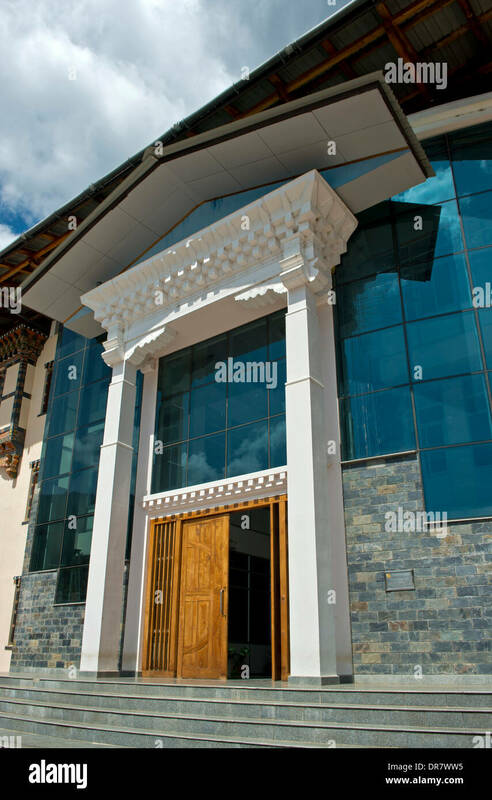 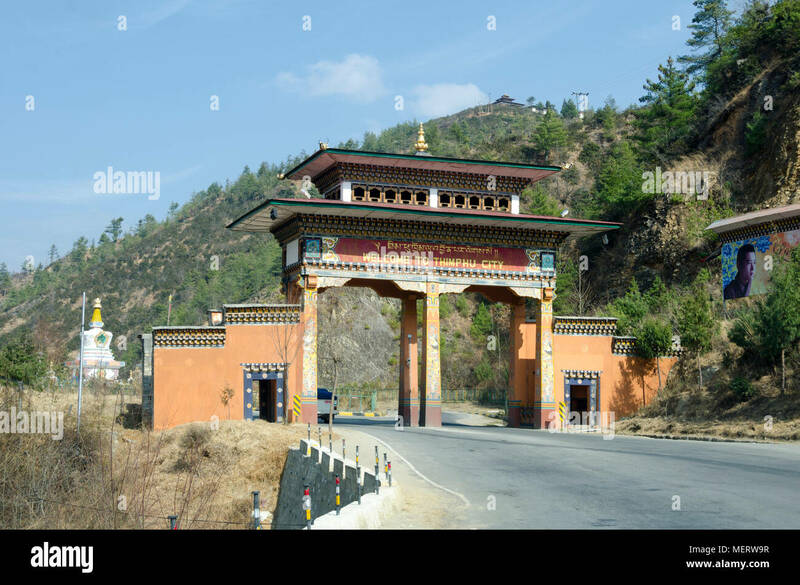 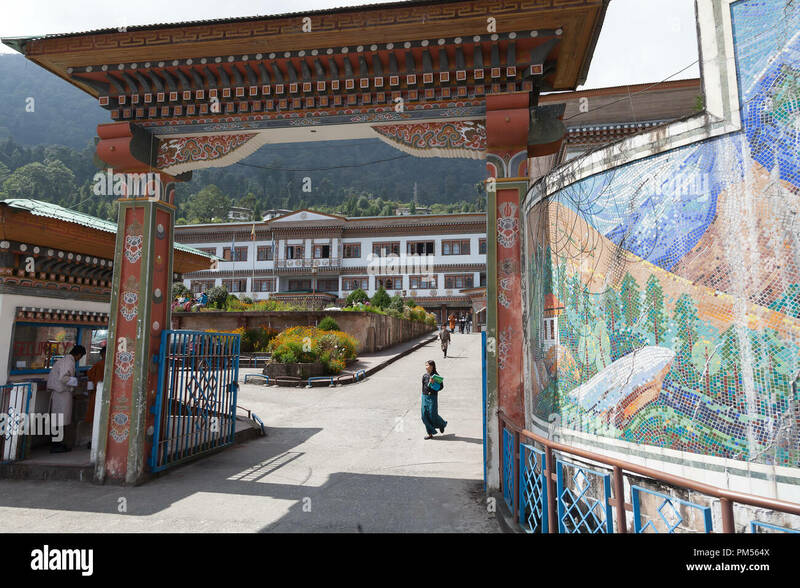 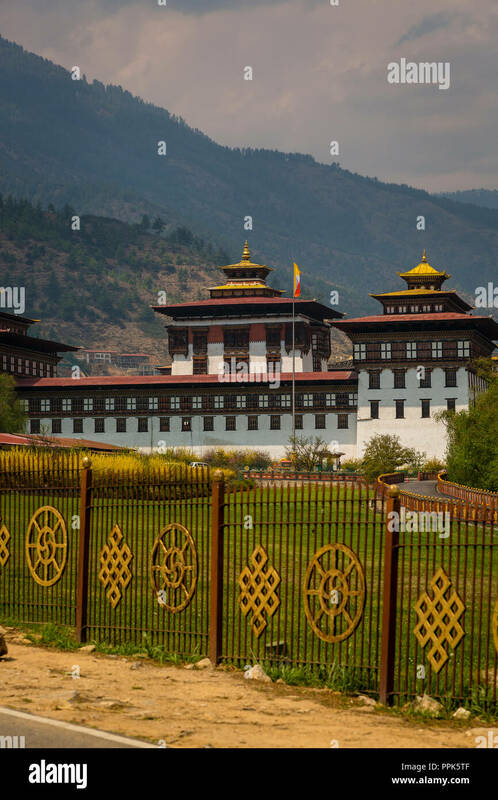 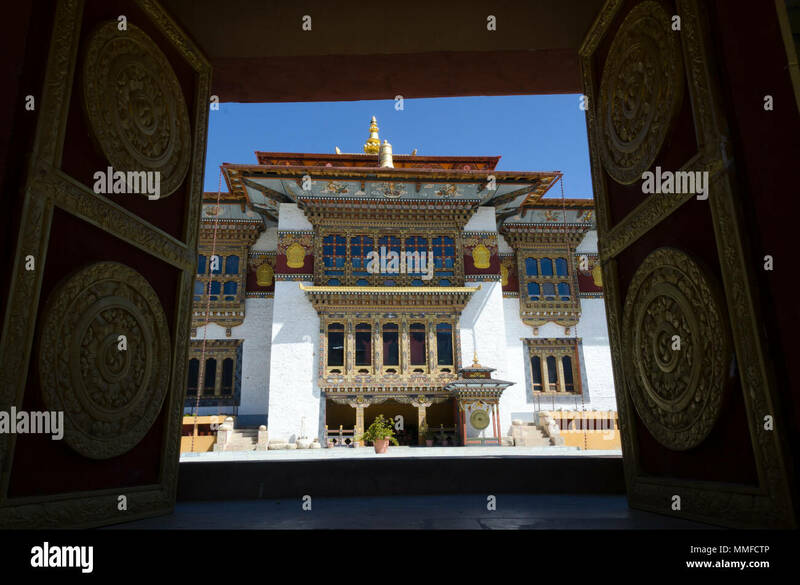 The entrance gate to the Paro Dzongkhag district, Bhutan. 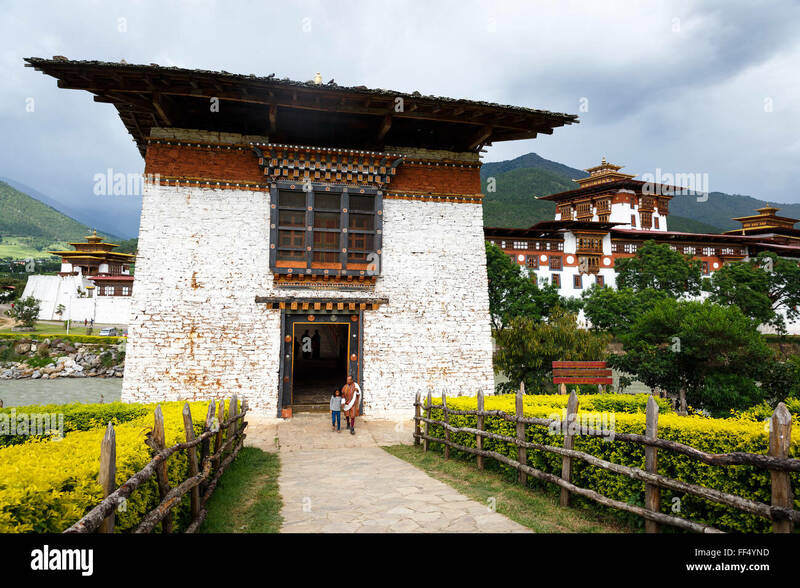 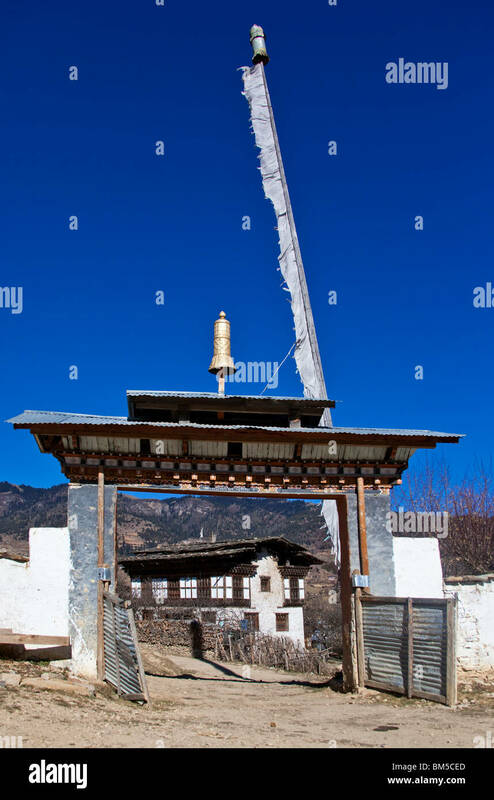 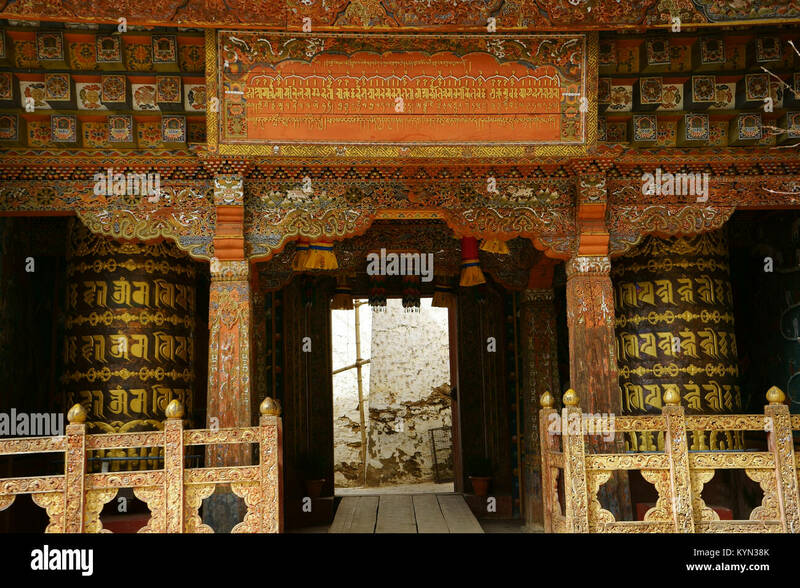 Prakhar Lhakhang, Bumthang, Bhutan. 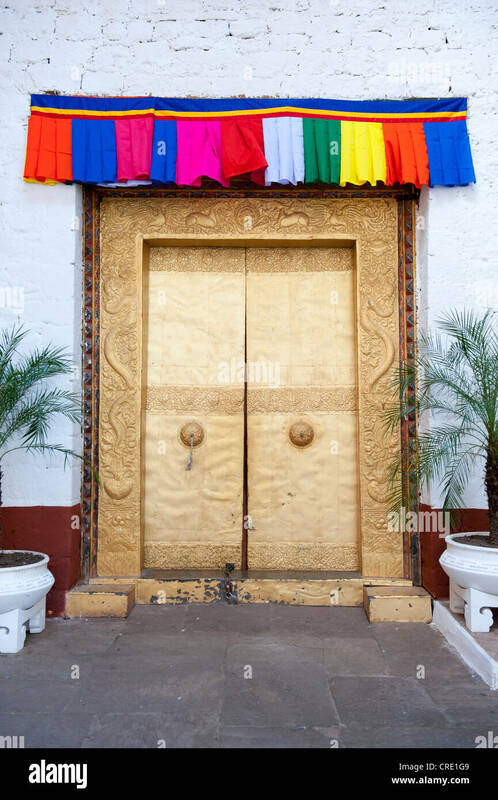 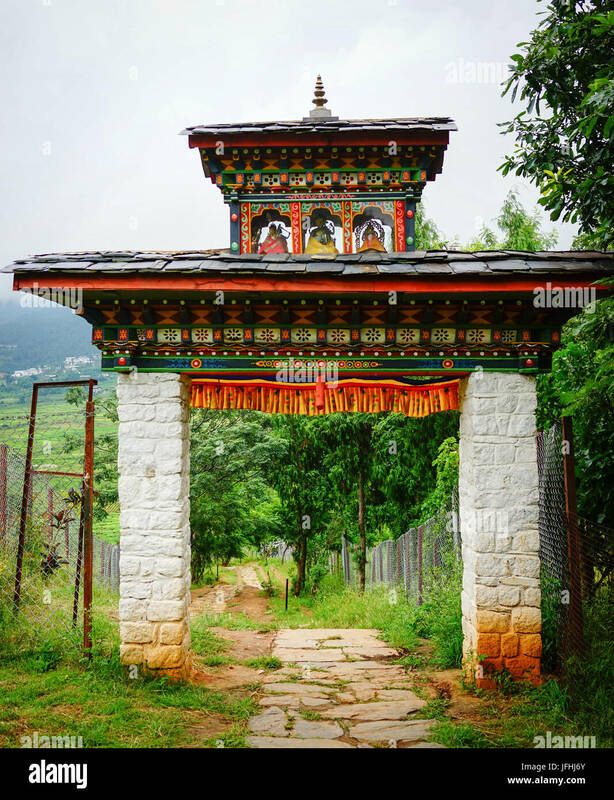 Gate at Beginning of Final Pathway Leading to the Monastery, Decorated for the Arrival of the King. 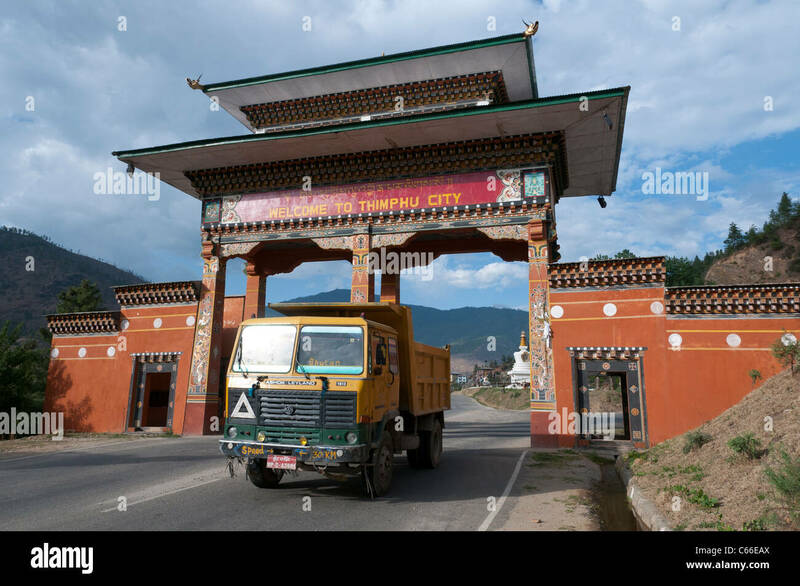 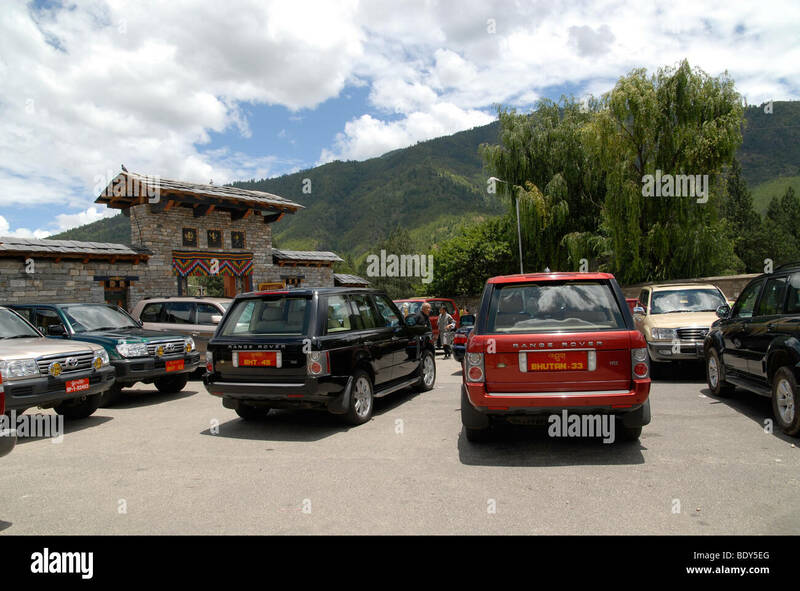 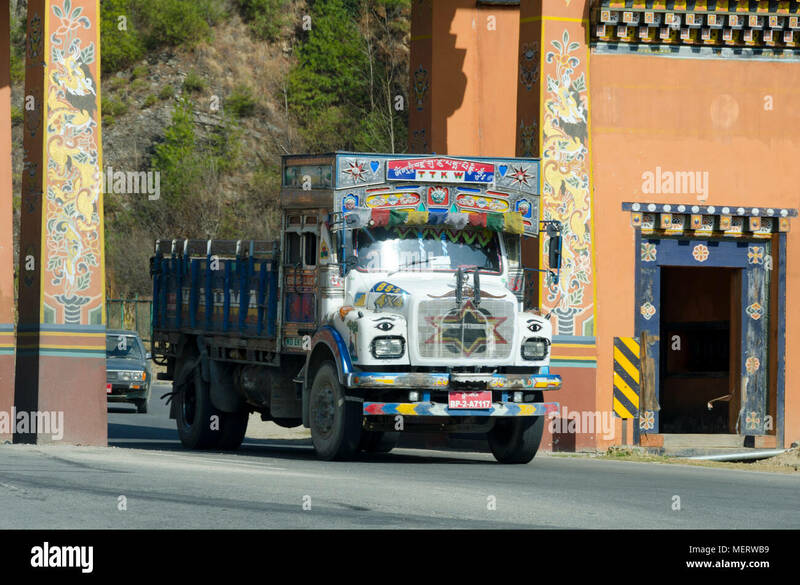 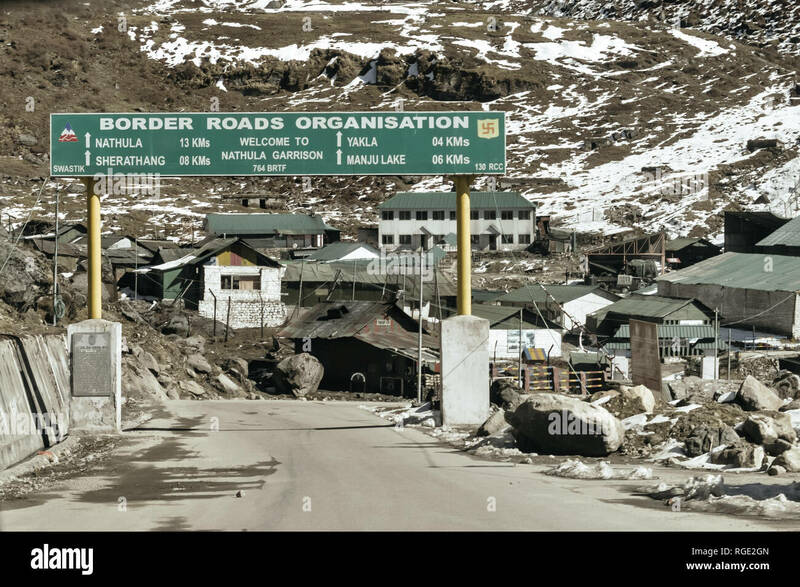 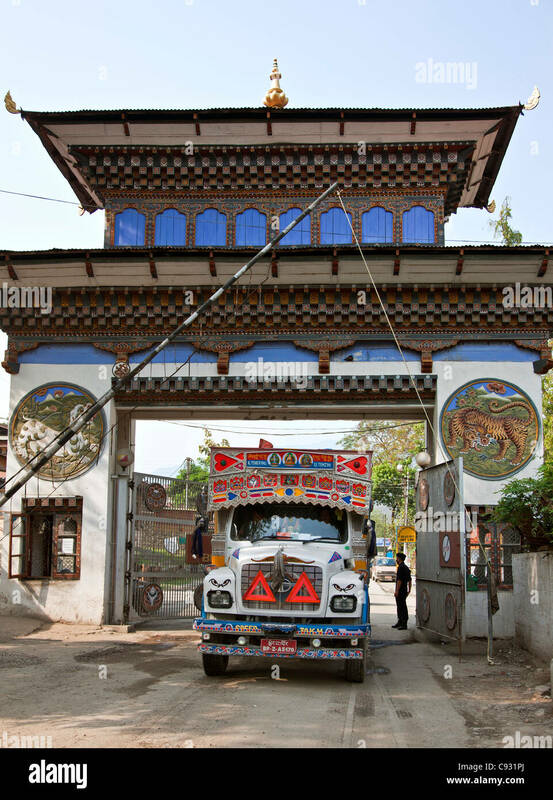 India Bhutan border crossing for vehicle. 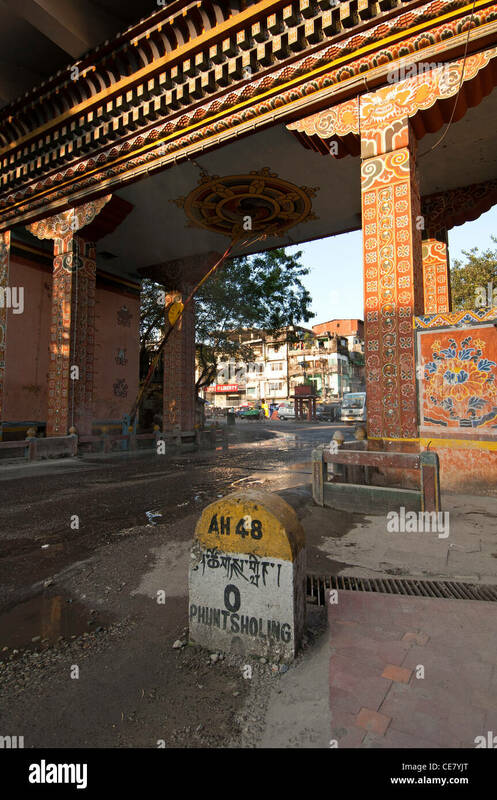 Phuentsholing jaigaon. 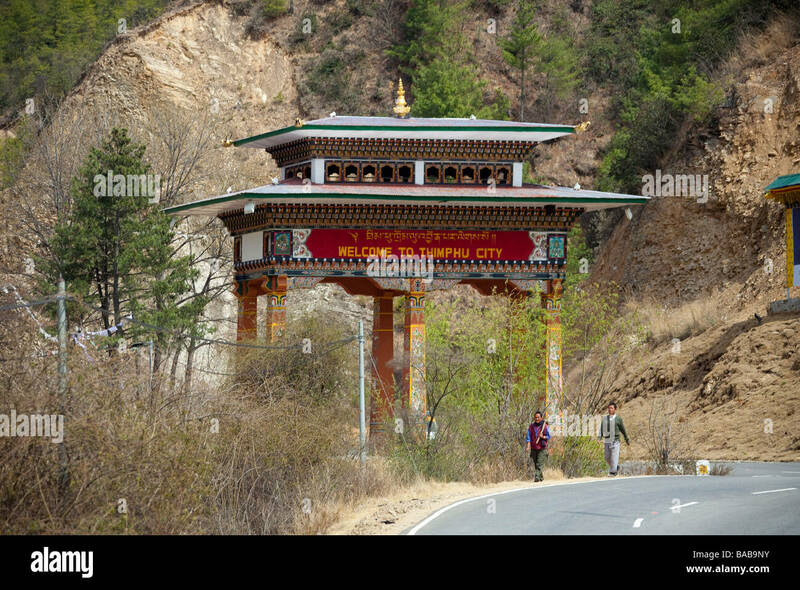 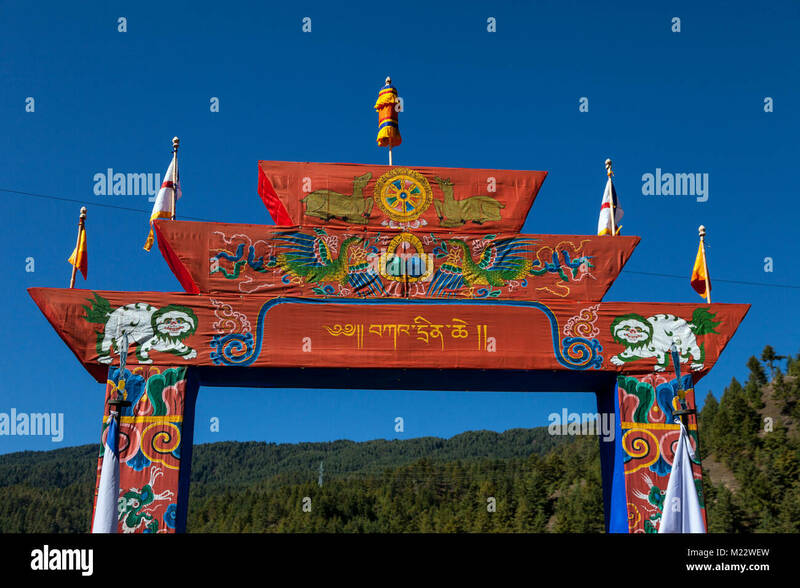 BHUTAN - Ornate archway welcoming visitors to the Land of the Thunder Dragon at Chhuzon, Confluence of Paro and Thimphu Rivers. 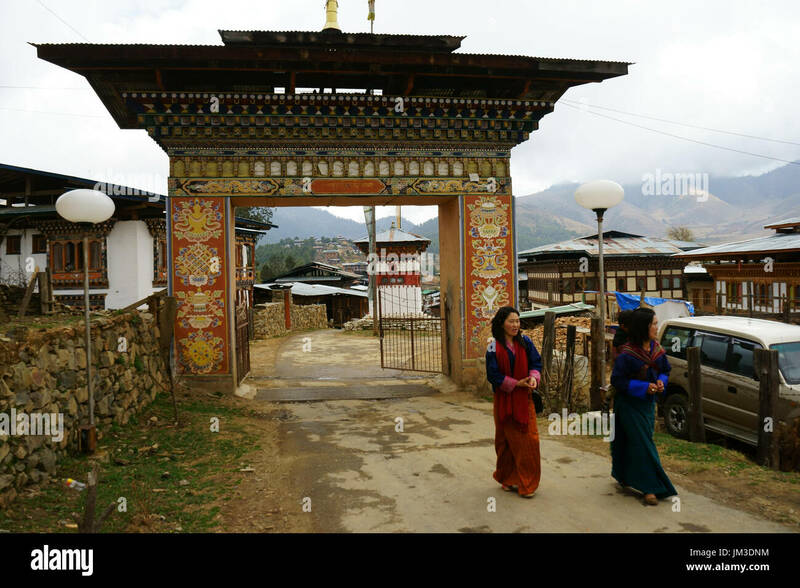 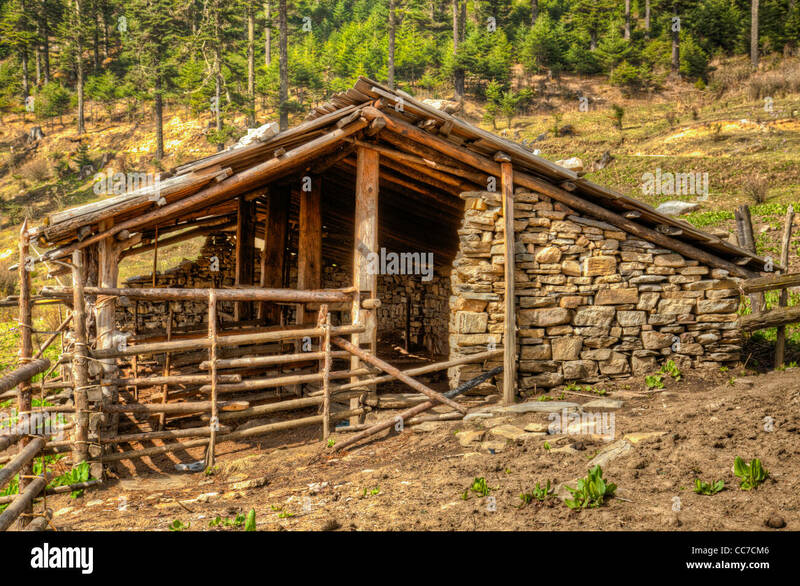 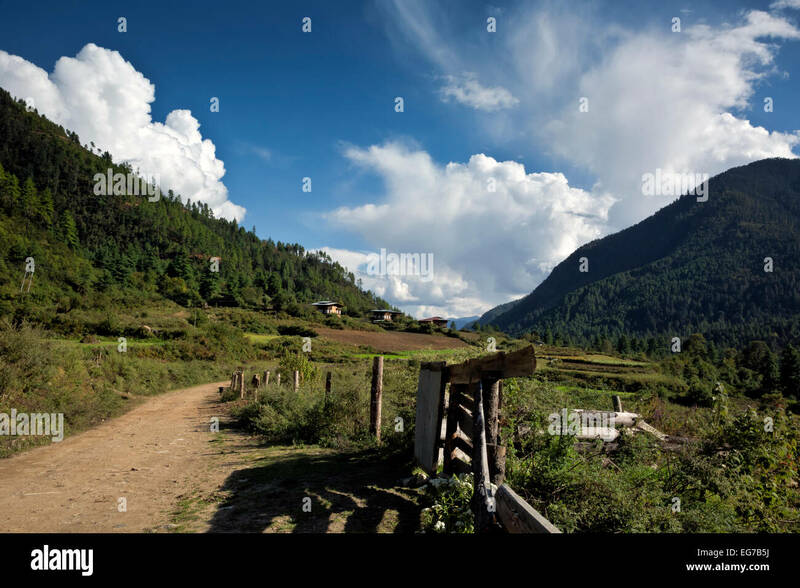 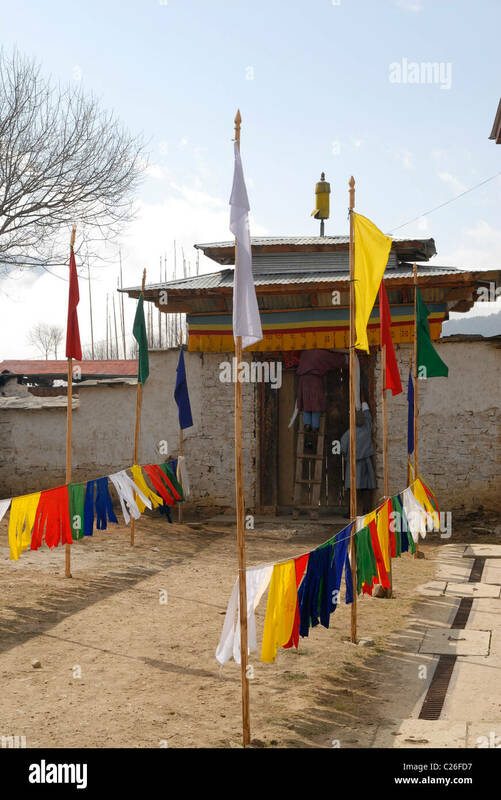 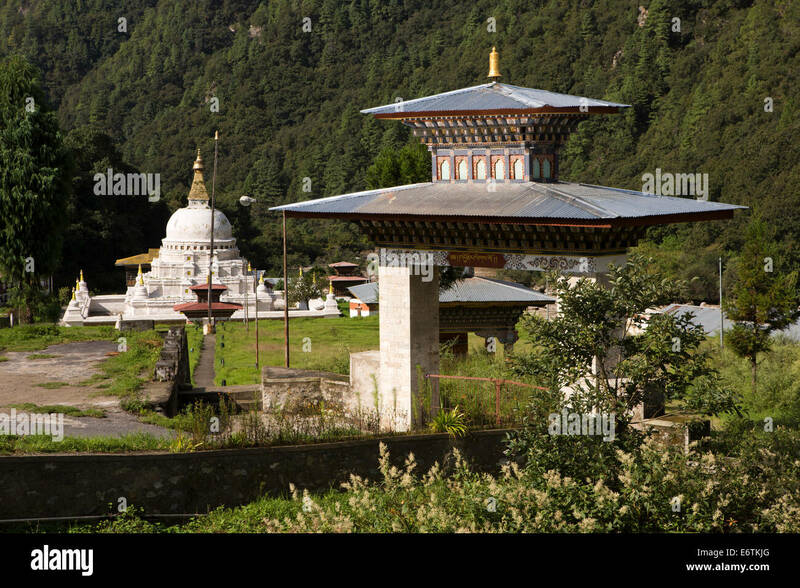 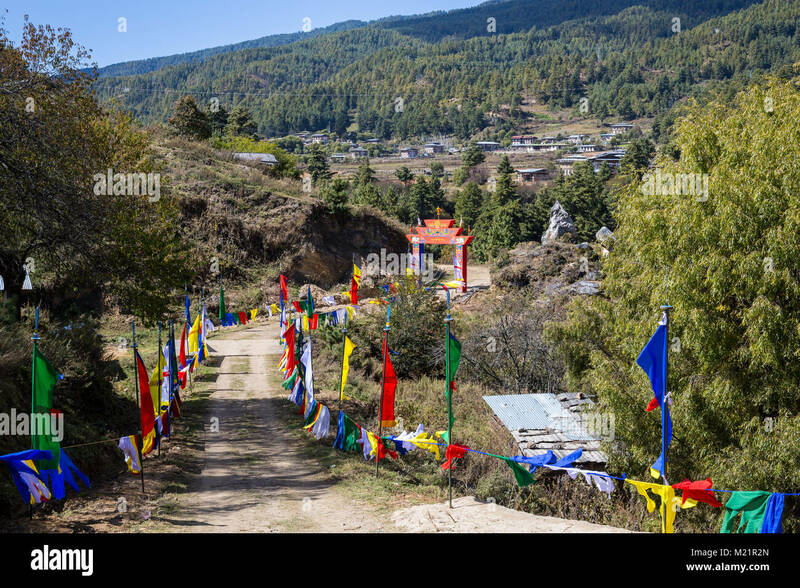 Bumthang, Bhutan. 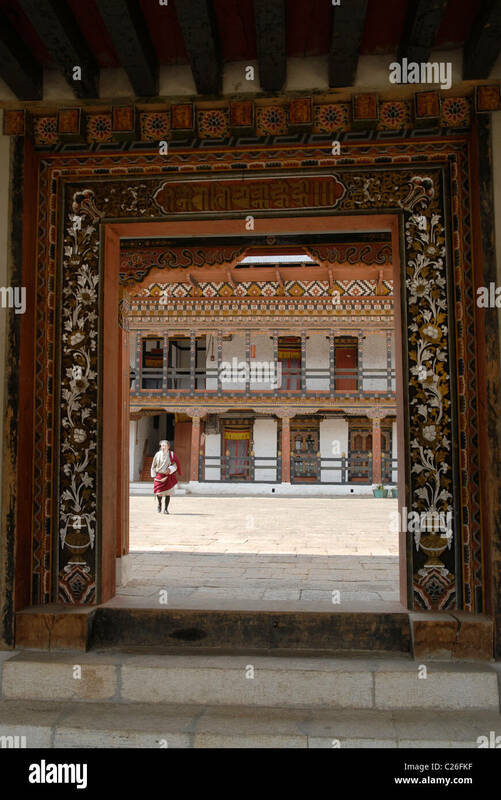 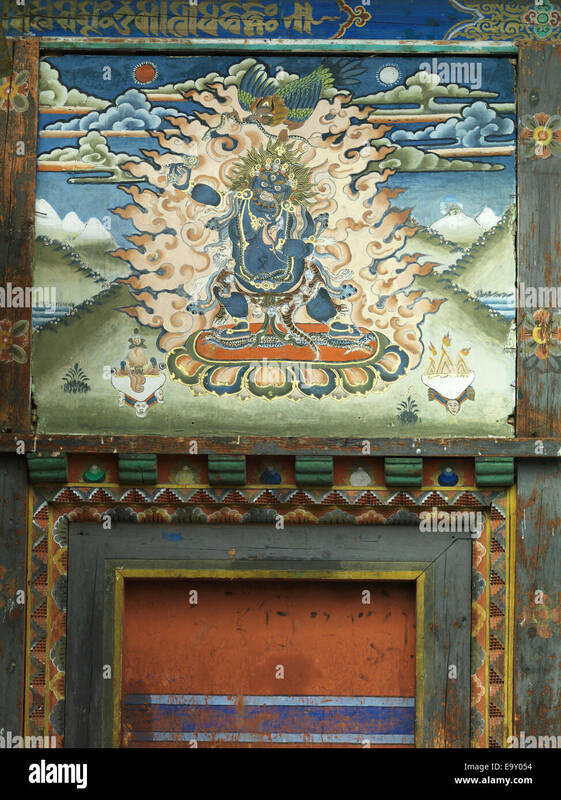 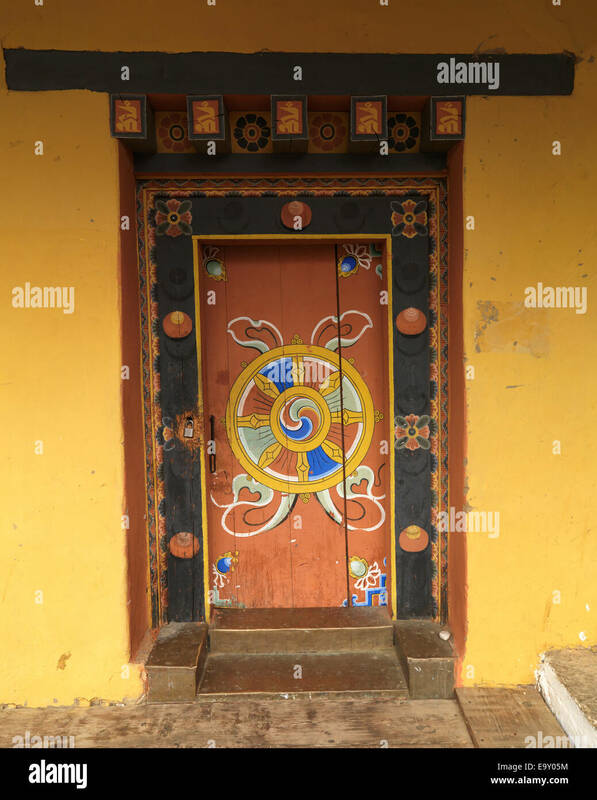 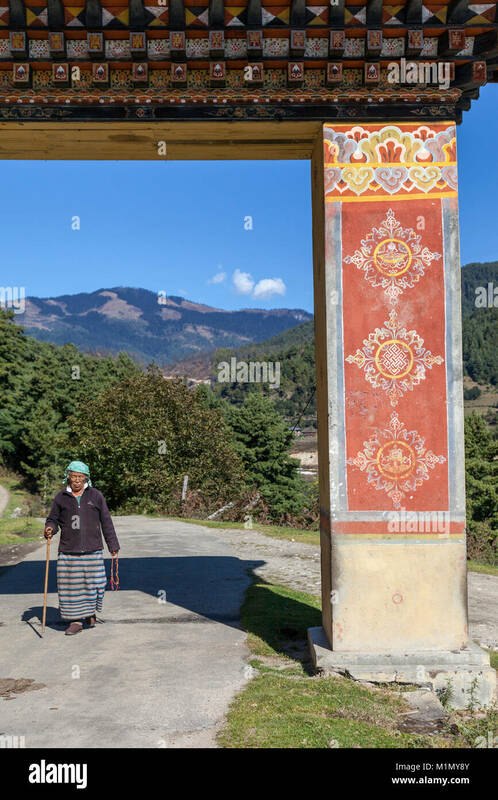 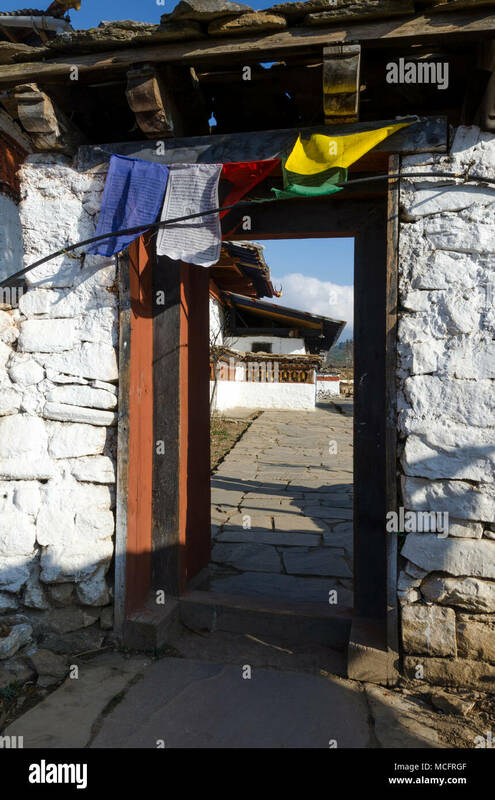 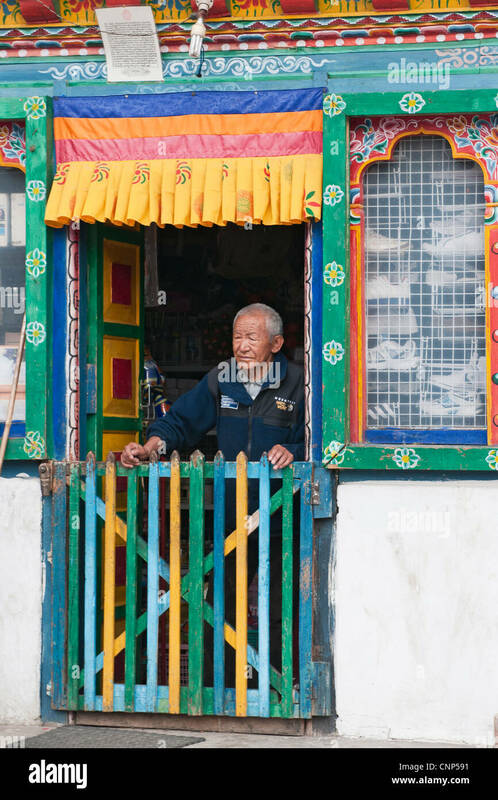 Old Woman Entering the Gate of Kurje Lhakhang Temple. 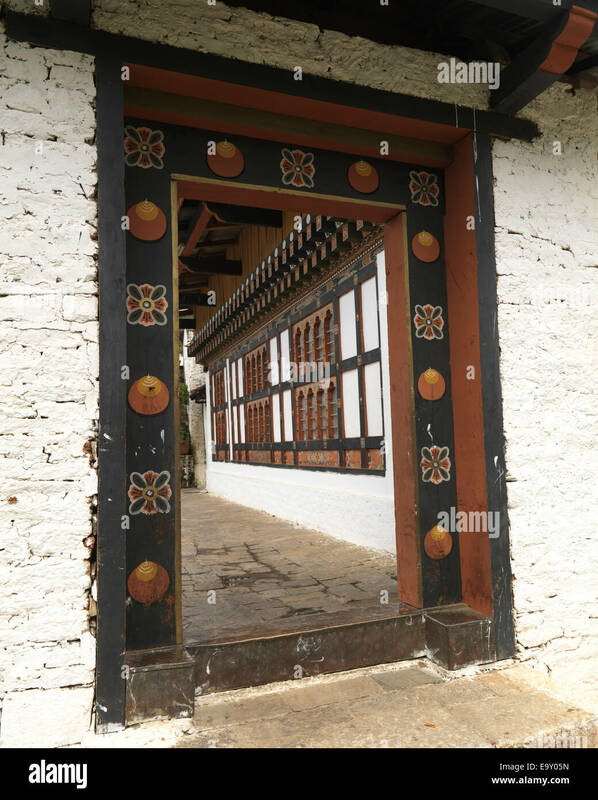 Prakhar Lhakhang, Bumthang, Bhutan. 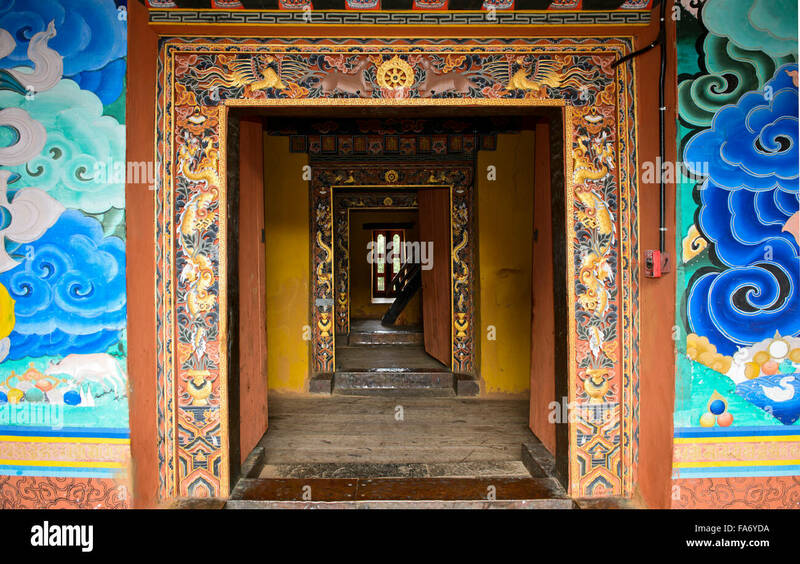 Pathway Leading to the Monastery, Decorated for the King's Arrival. 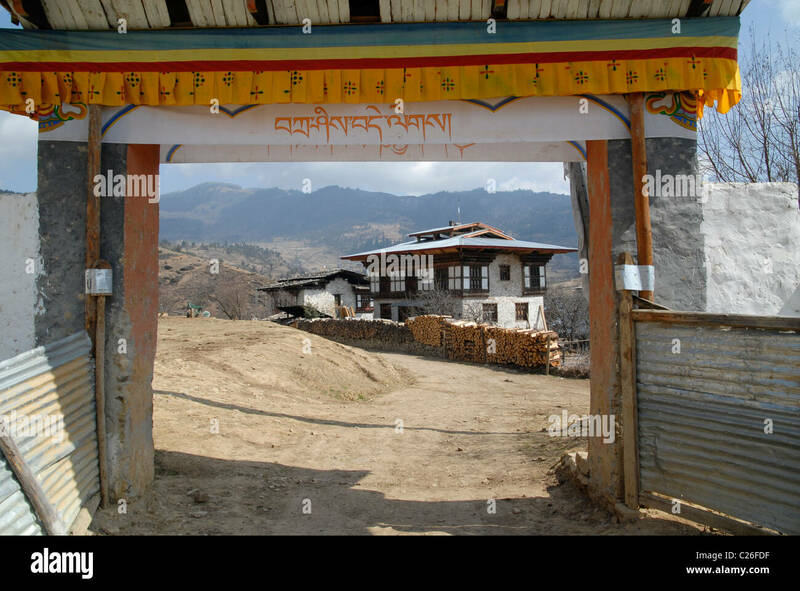 BHUTAN - Fenced in fields in Paro Chhu Valley near the end of the road at town of Sharna Zampa, part of the Jhomolhari 2 Trek. 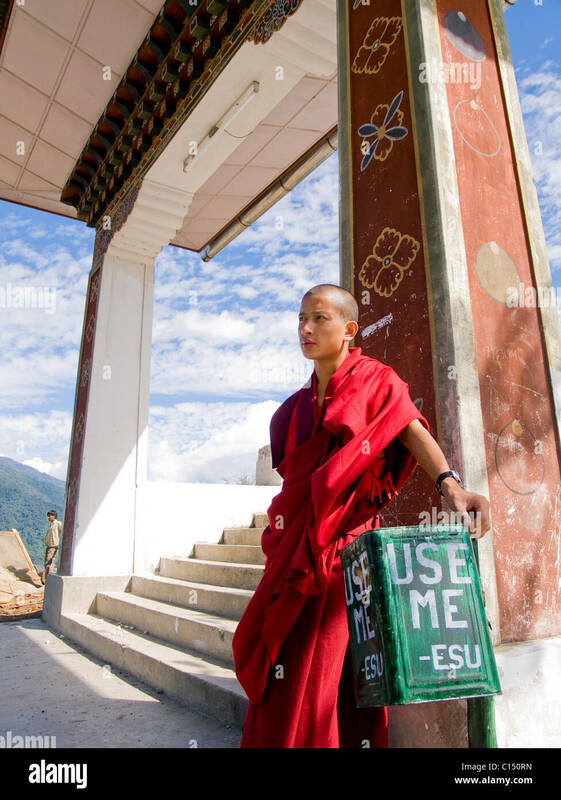 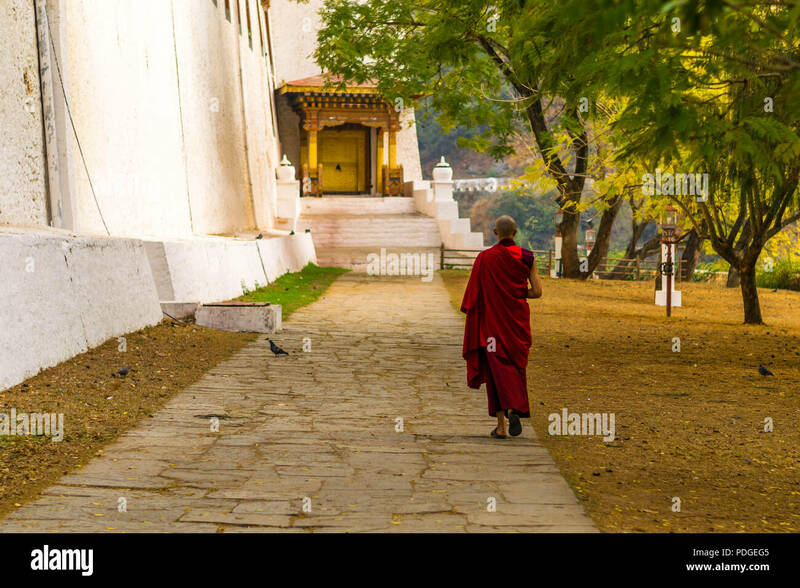 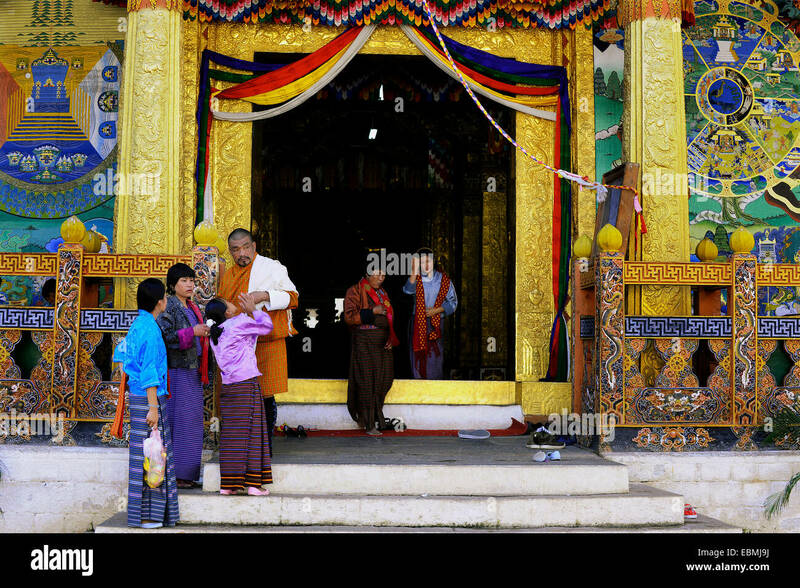 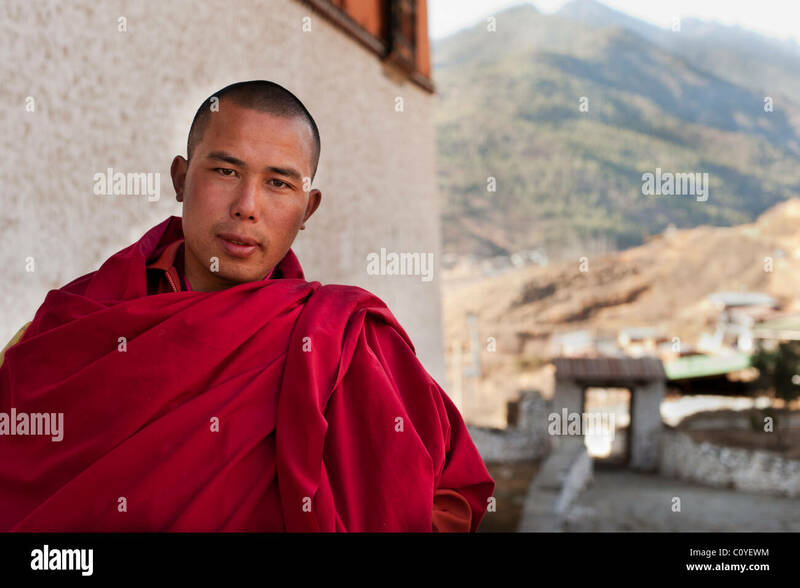 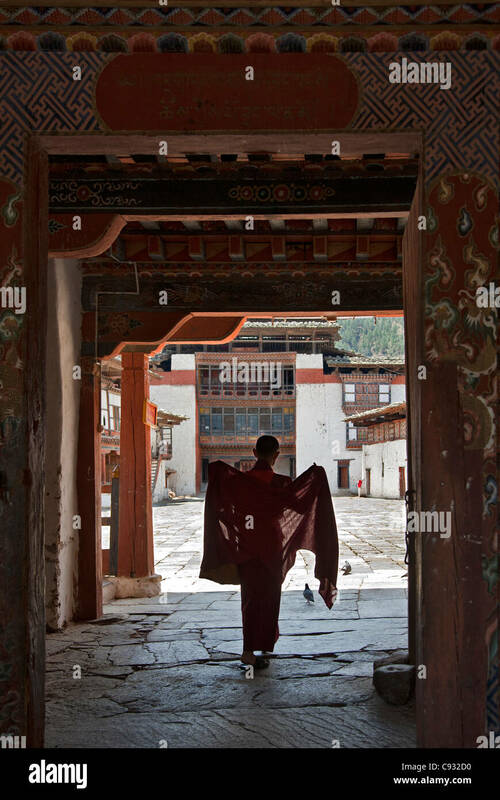 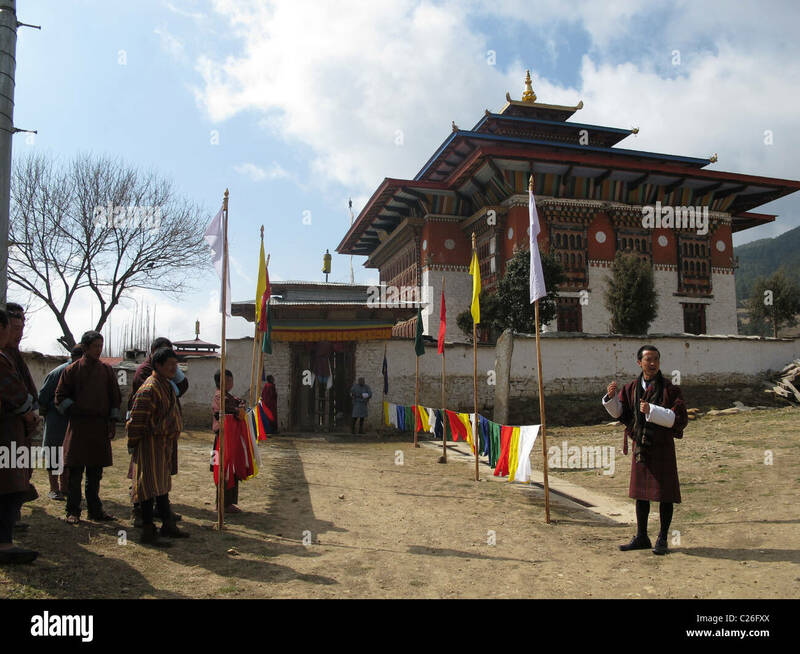 A monk adjusts his red robes as he enters the main courtyard of Wangdue Phodrang Dzong (fortress). 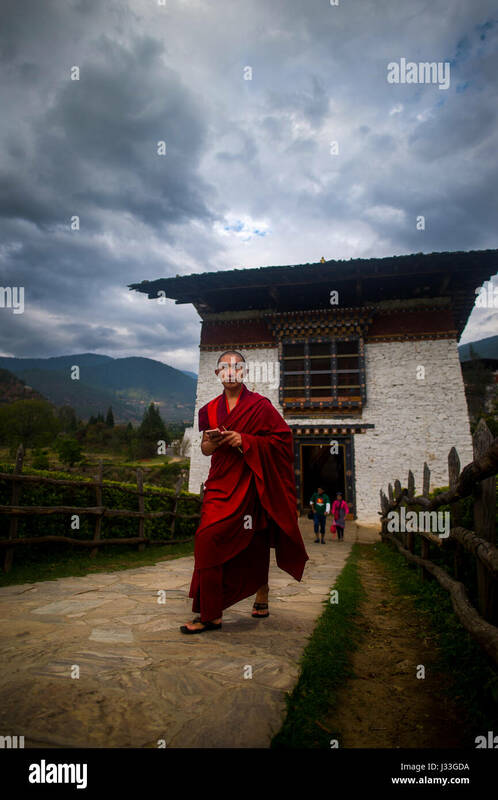 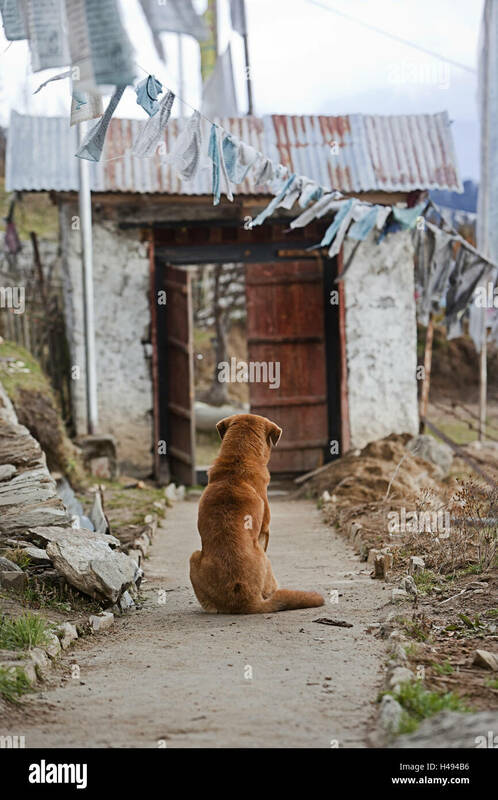 Bhutanese student outside Gaeddu College of Business Studies in Thimphu Bhutan. 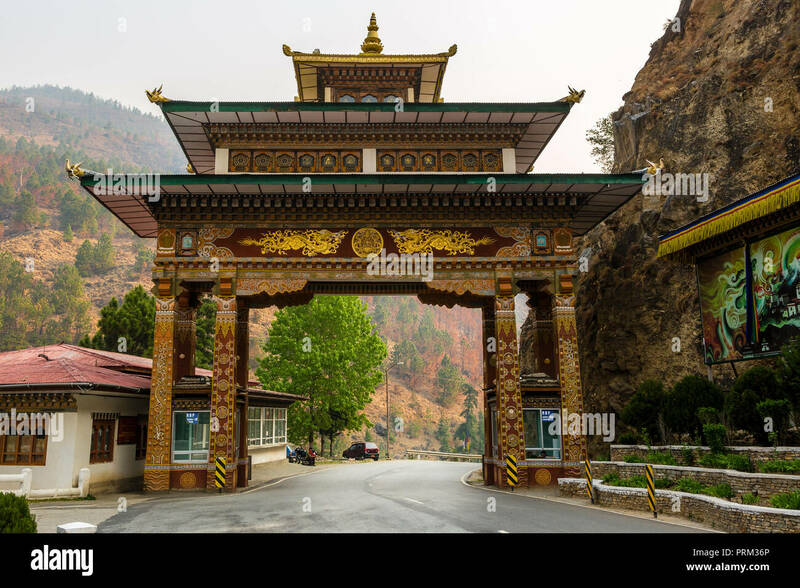 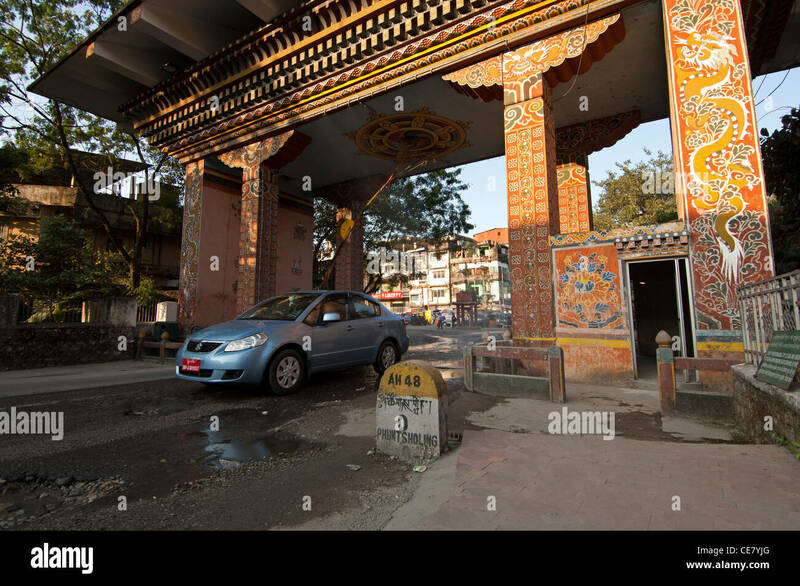 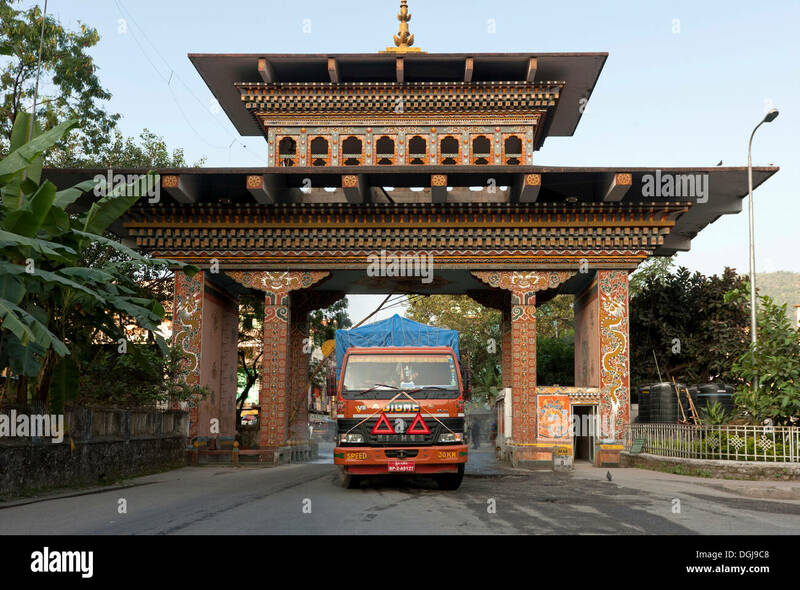 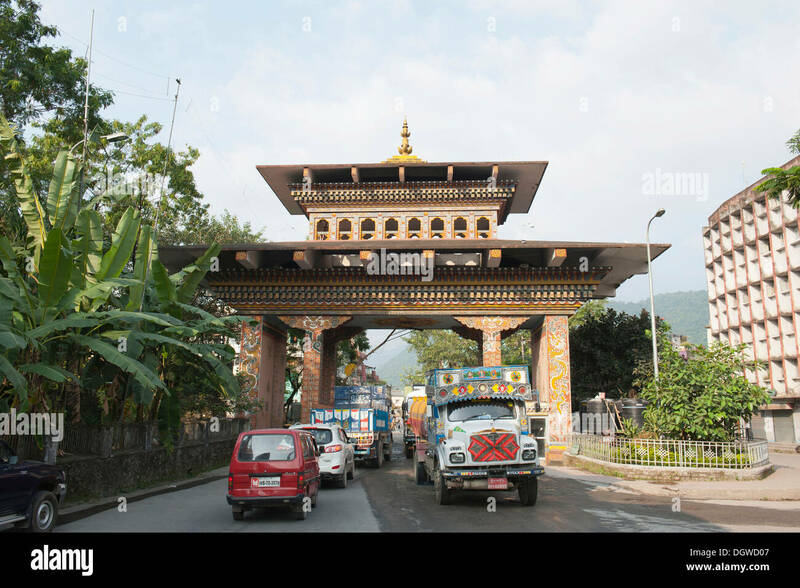 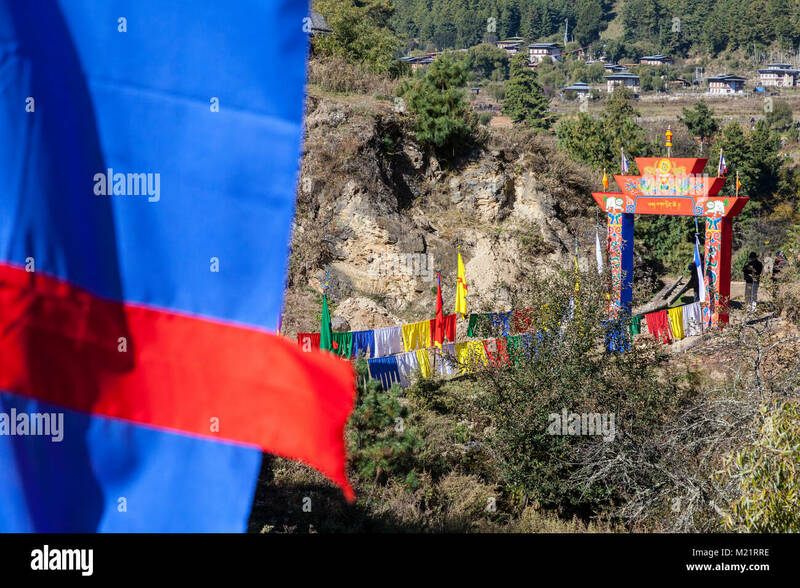 Gateway border between Bhutan and India. 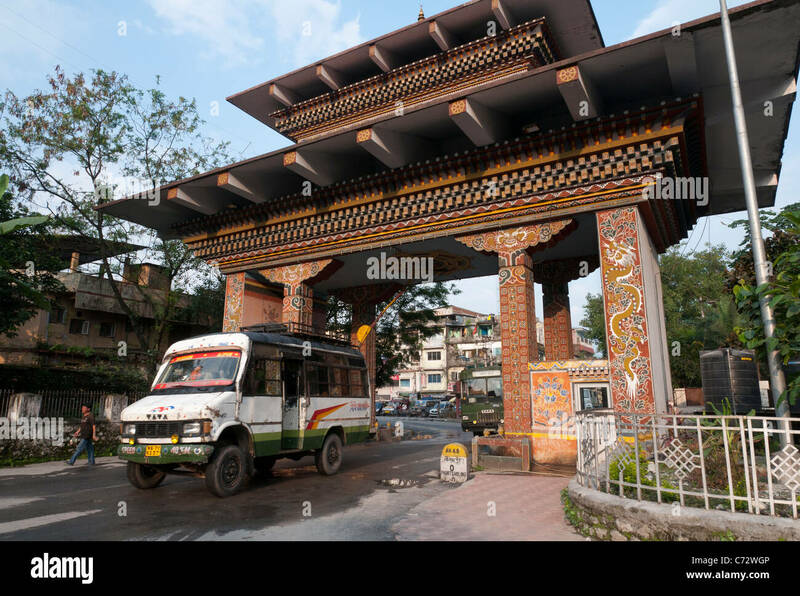 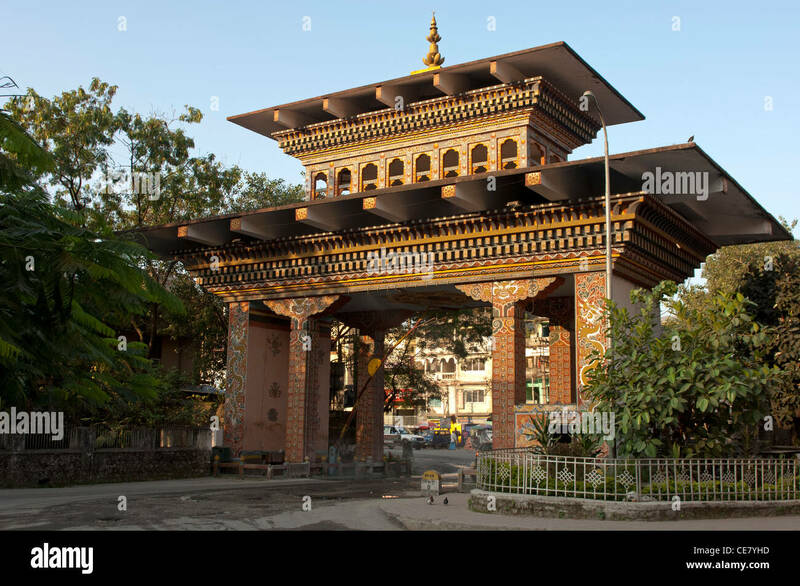 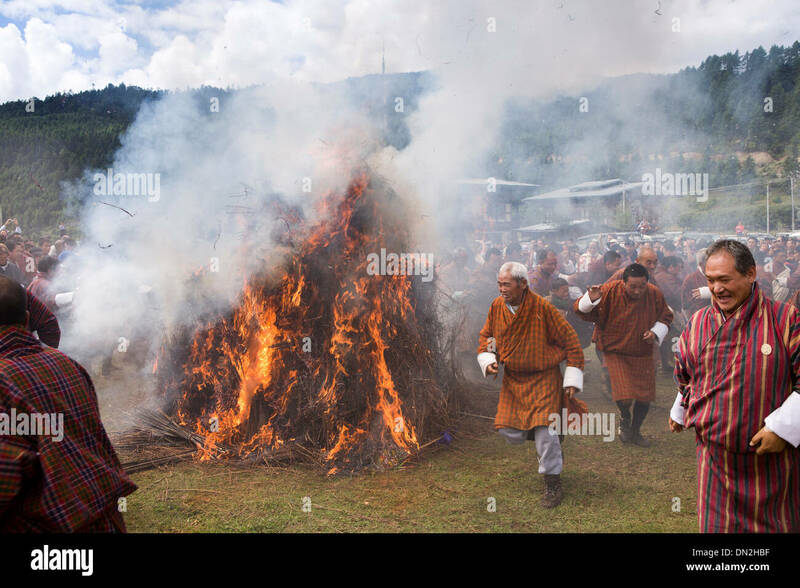 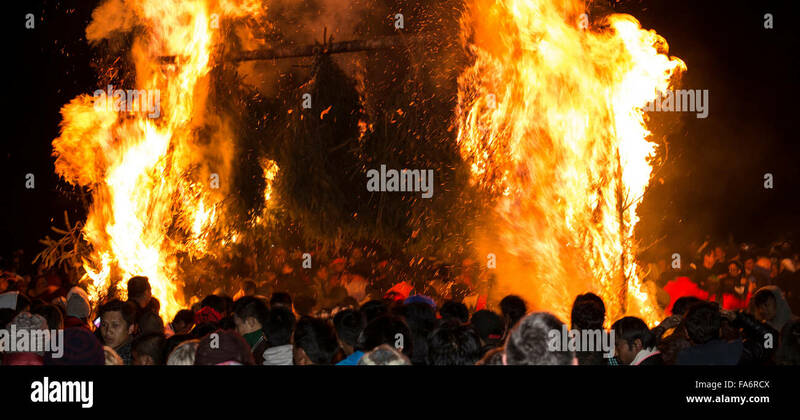 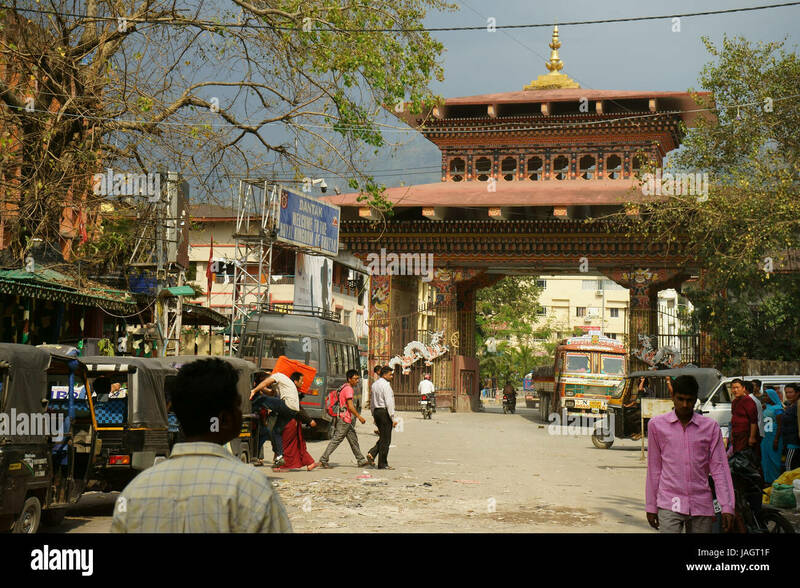 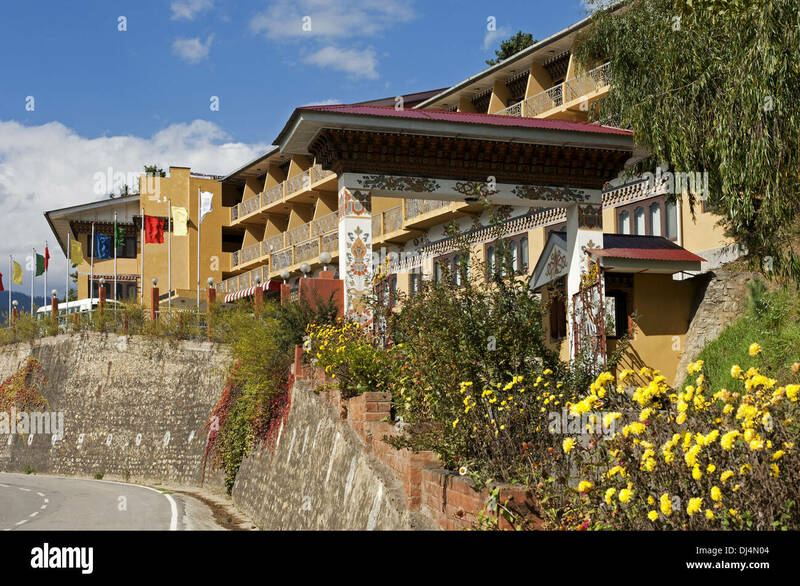 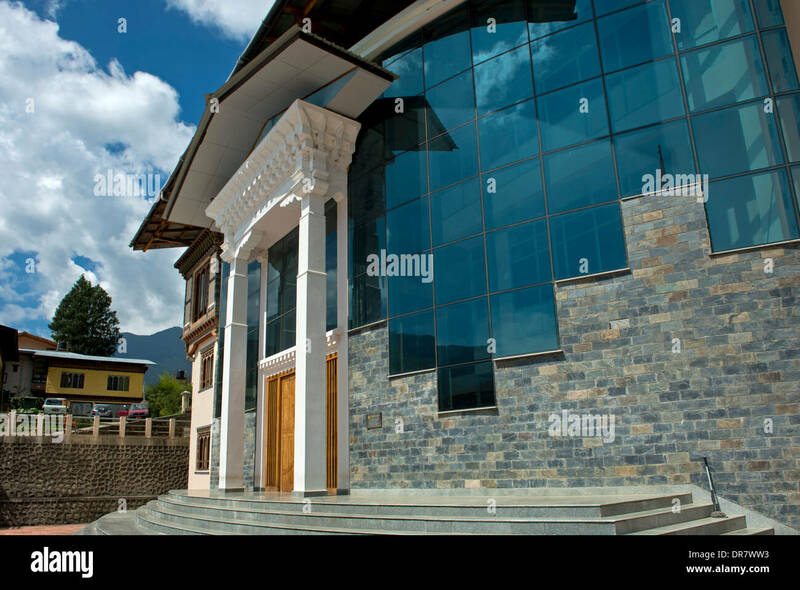 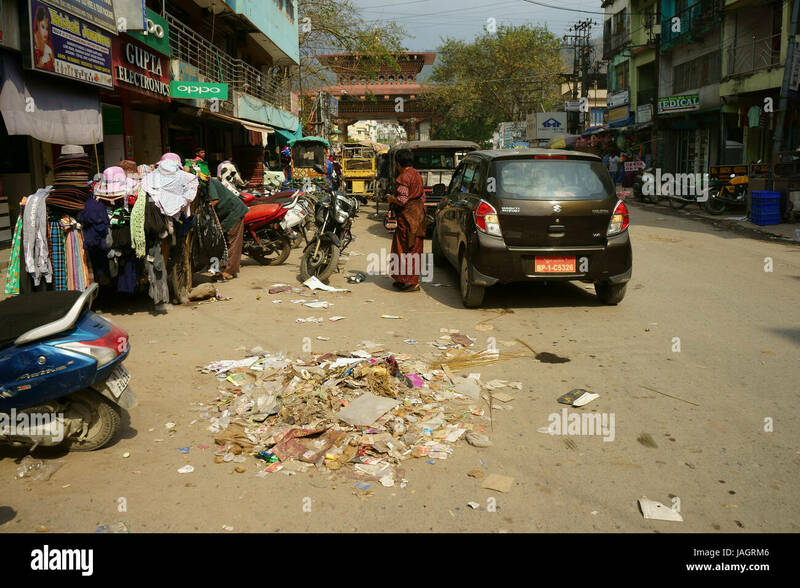 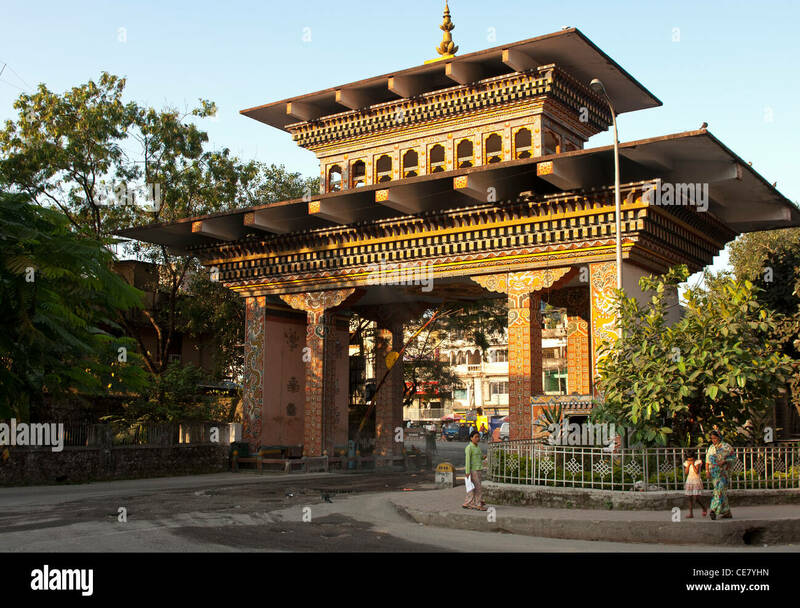 Phuentsholing, Bhutan, Asia. 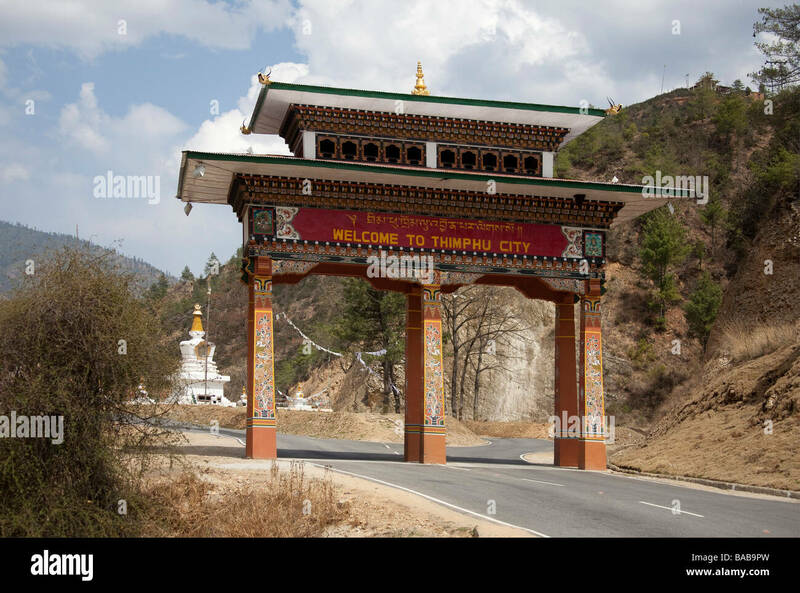 Thimphu, Bhutan. 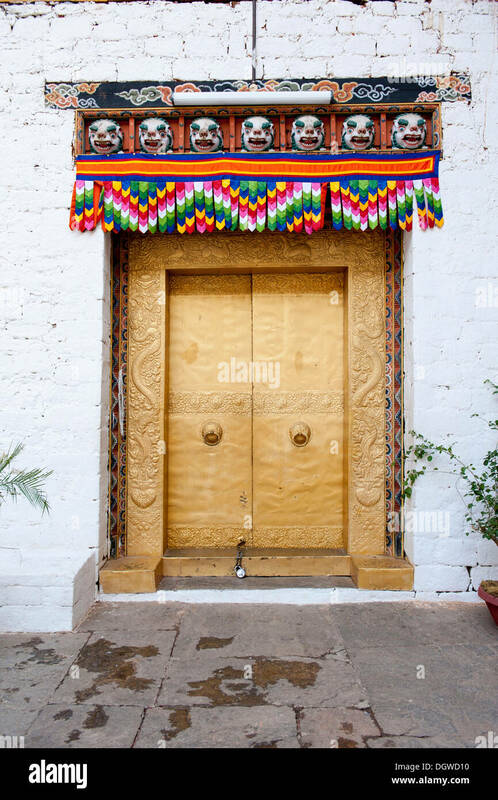 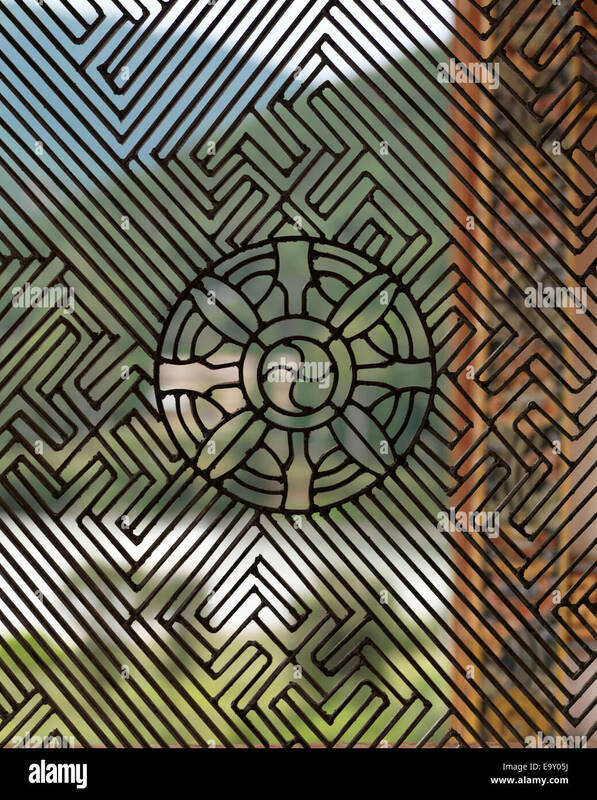 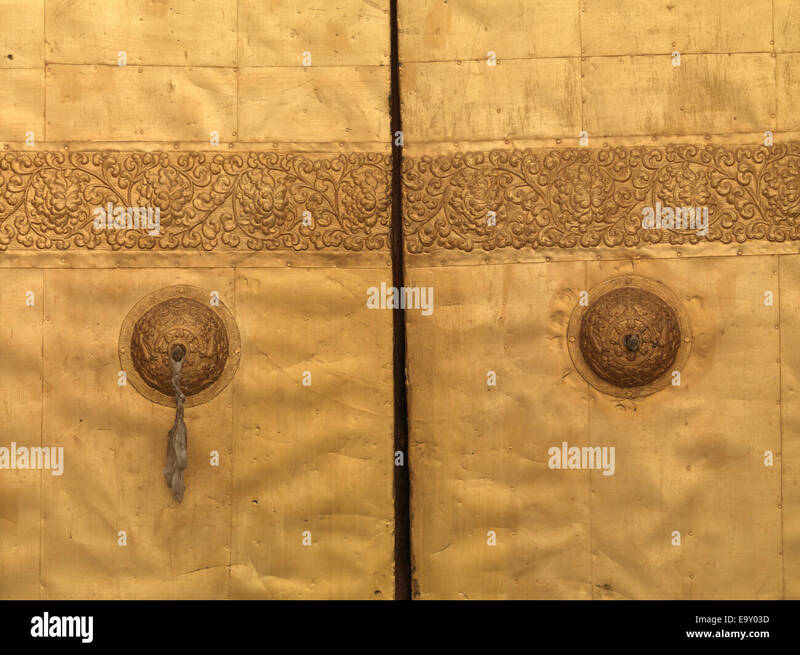 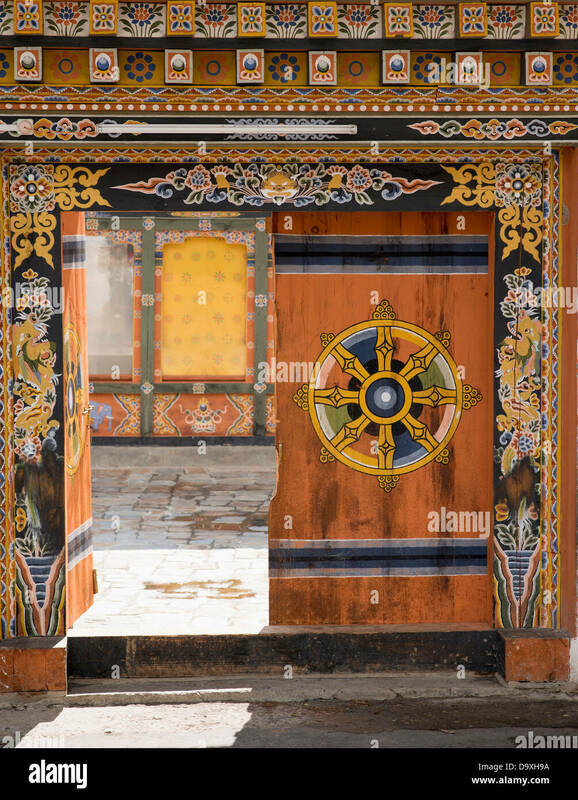 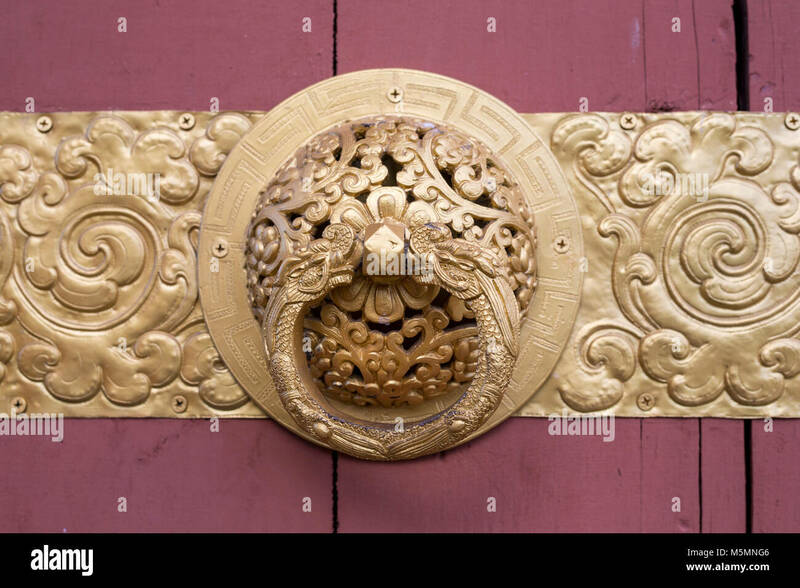 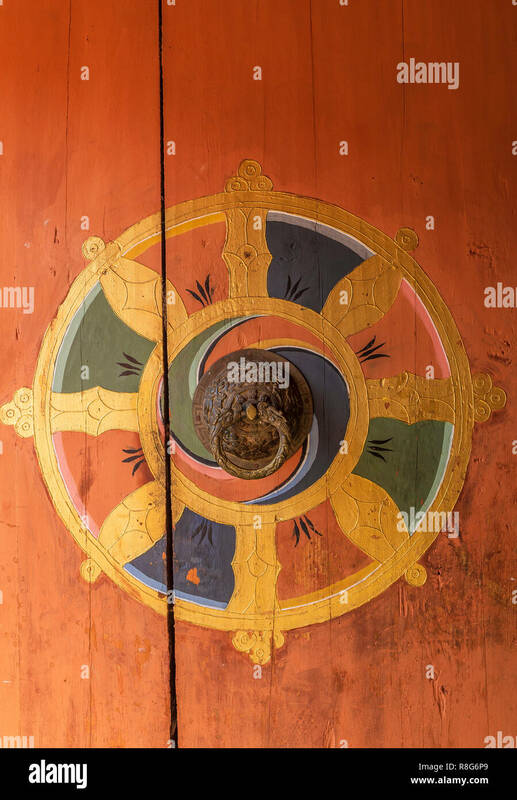 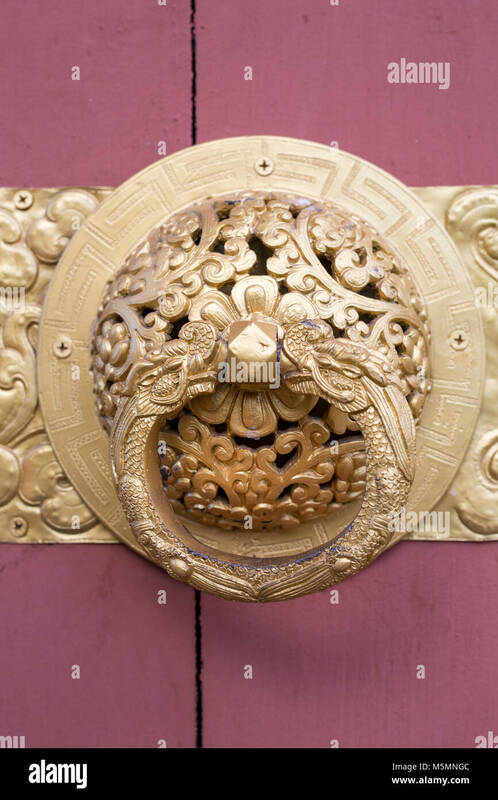 Decoration on Doorway Opening to the National Memorial Chorten. 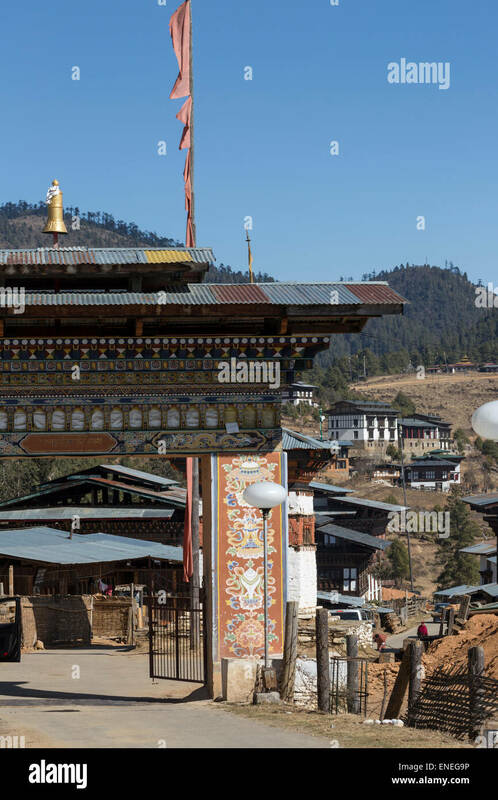 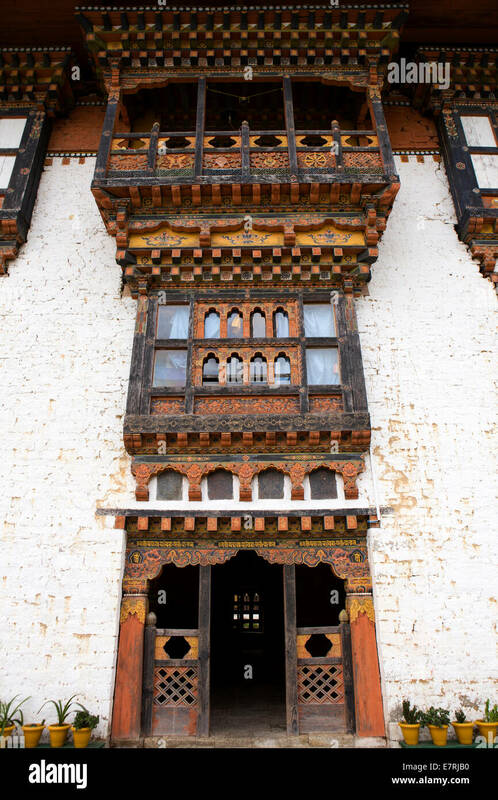 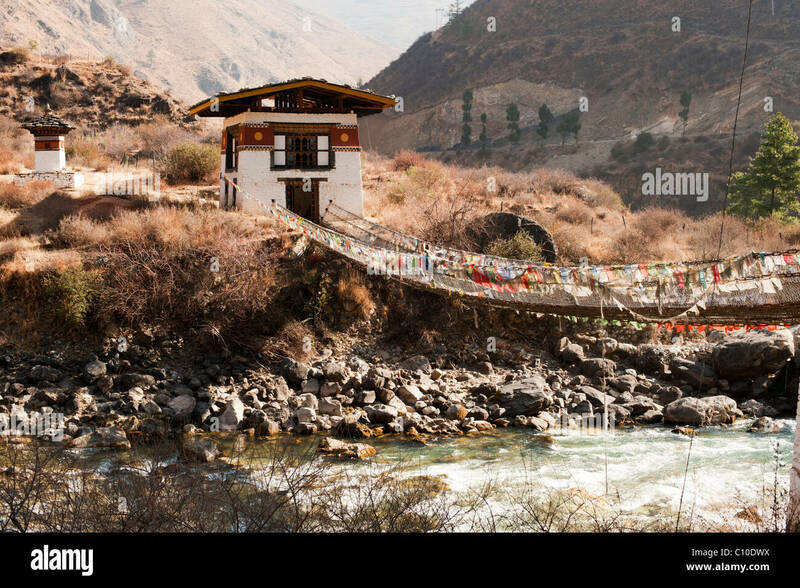 Prakhar Lhakhang, Bumthang, Bhutan. 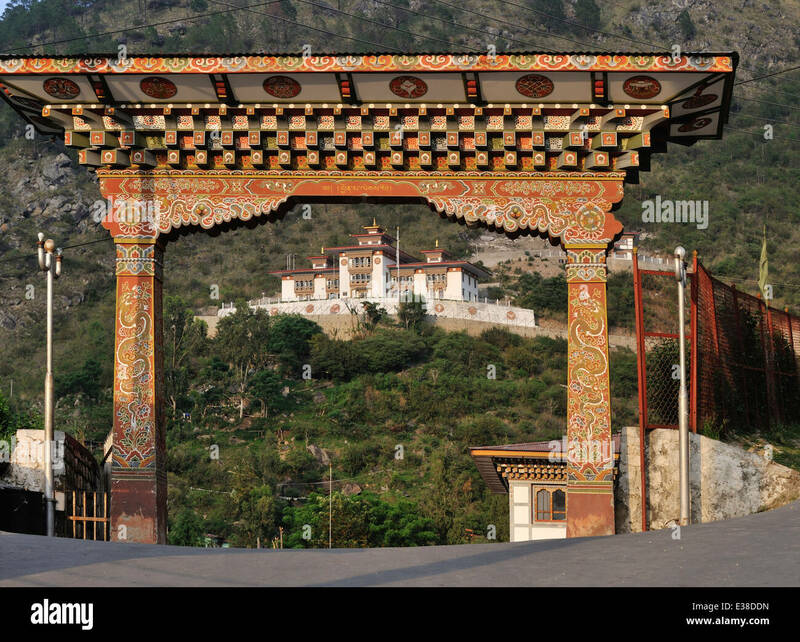 Gateway Leading to the Monastery, Decorated for the King's Arrival. 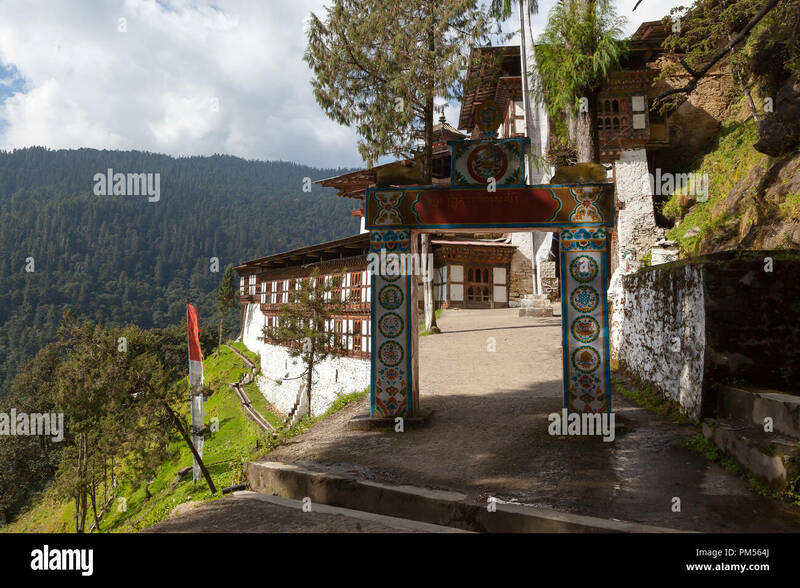 Stunning view from Cheri Monastery, in Bhutan. 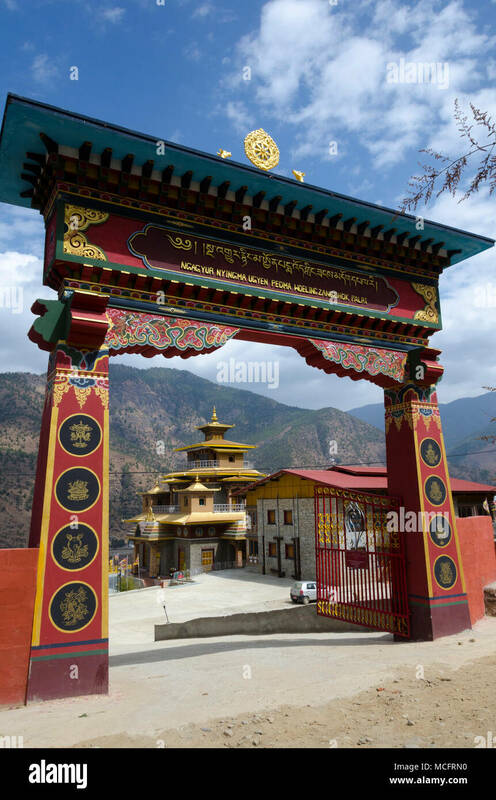 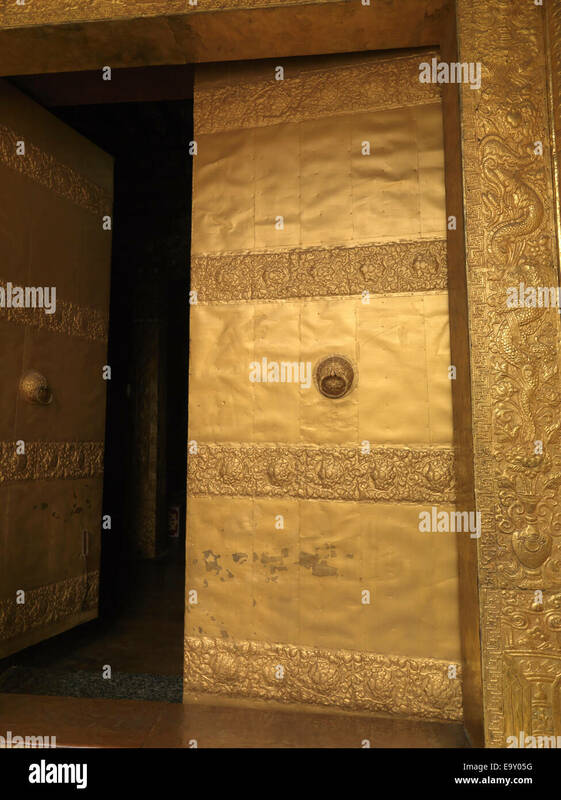 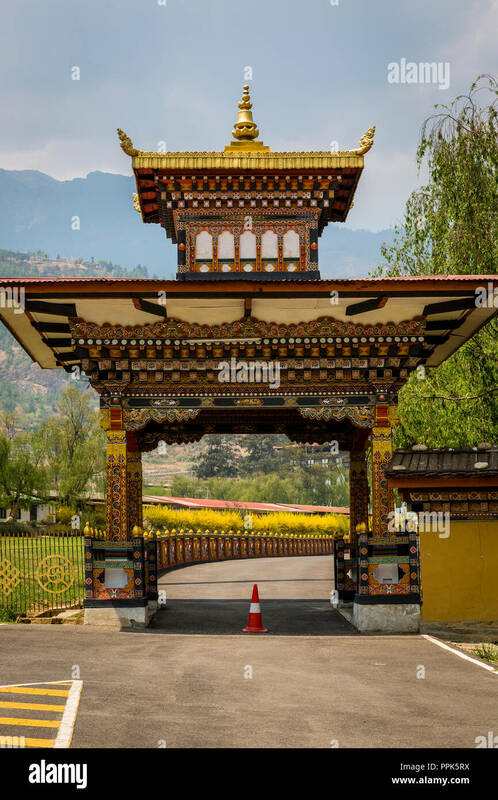 The gate of Tibetan monastery at countryside in Thimphu, Bhutan. 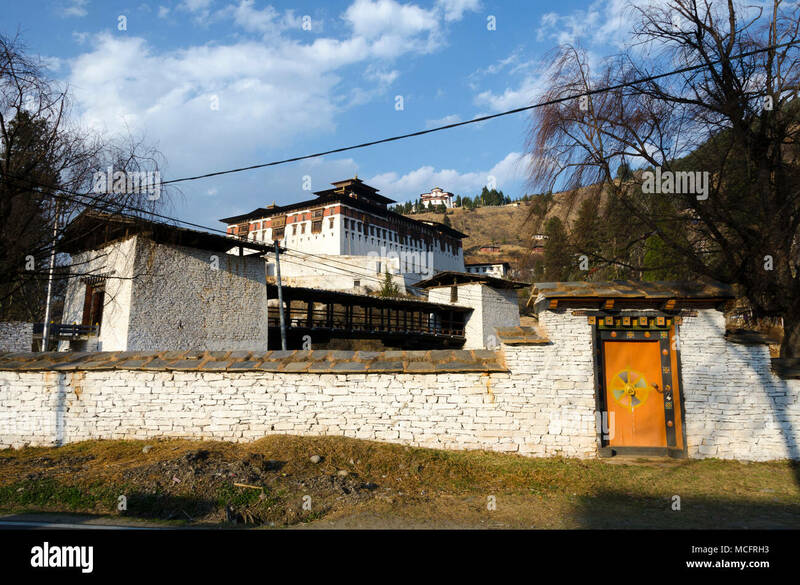 Prakhar Lhakhang, Bumthang, Bhutan. 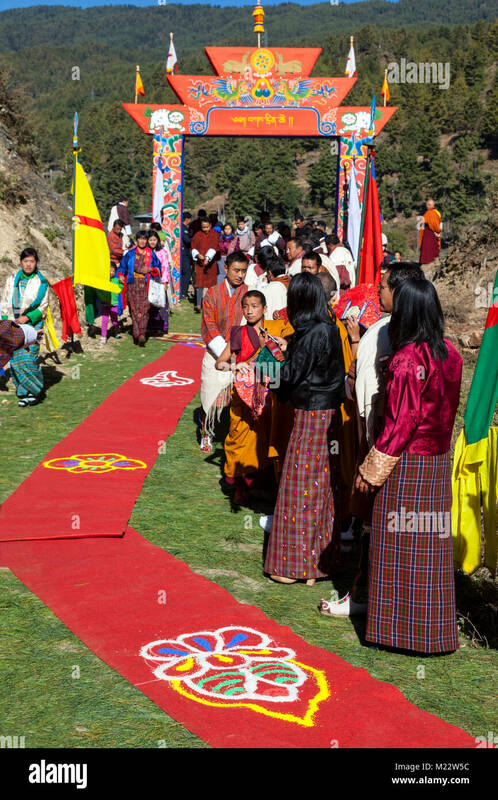 Pathway Prepared for the King's Arrival. 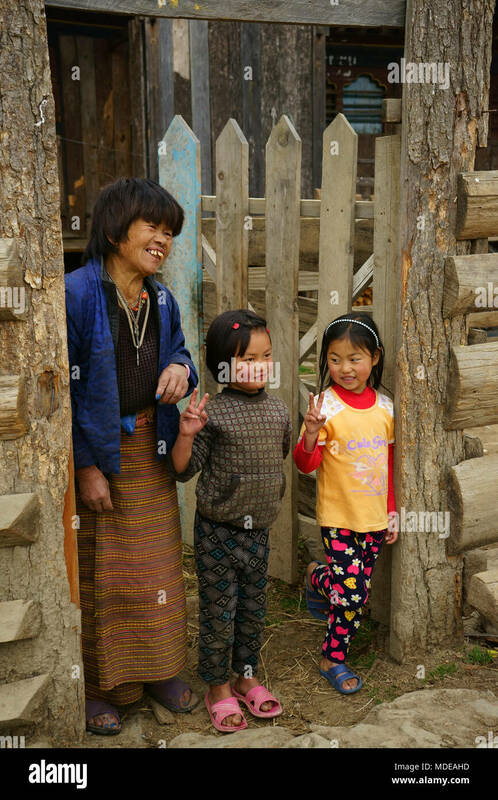 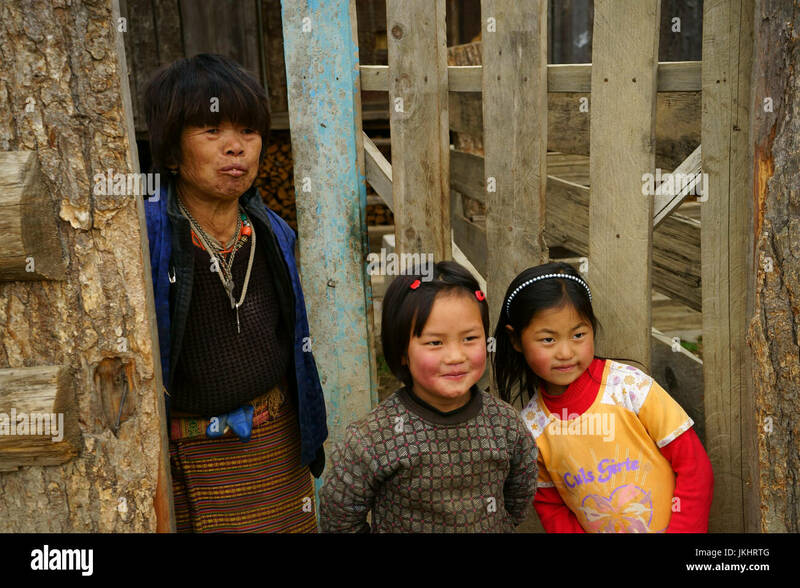 Women in Traditional Clothes.